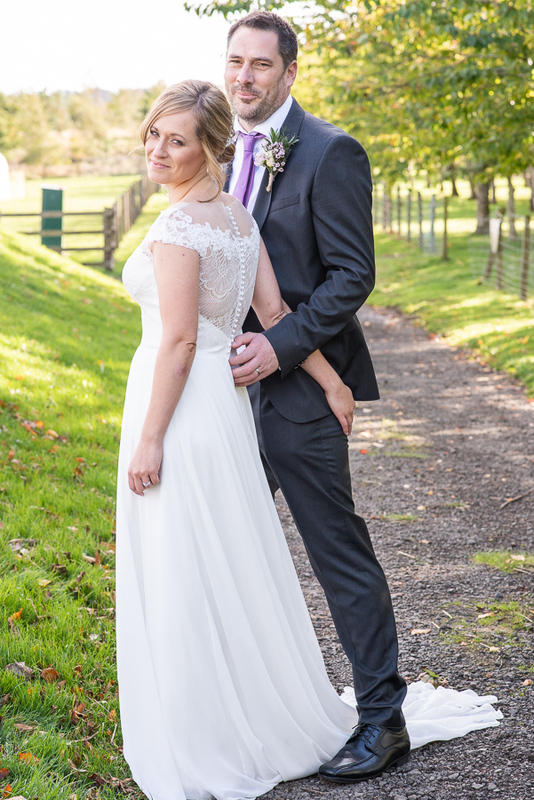 As a wedding photographer in the North East, you have to be prepared for any weather but it was truly a glorious autumn day for Jess and Will’s marriage. 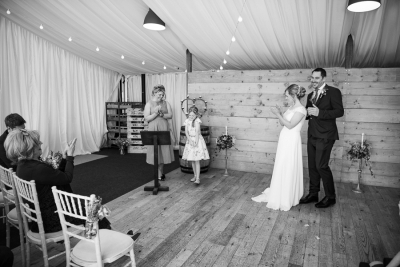 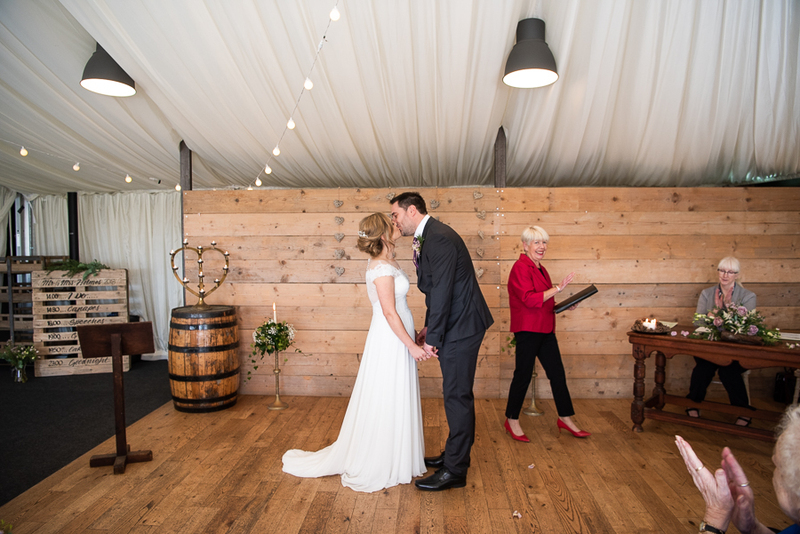 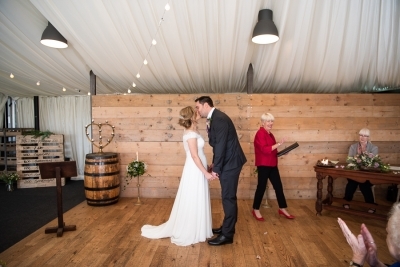 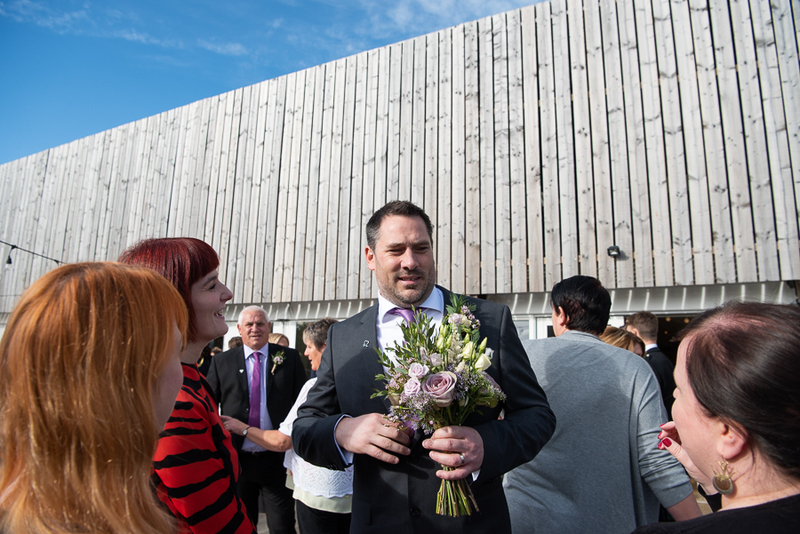 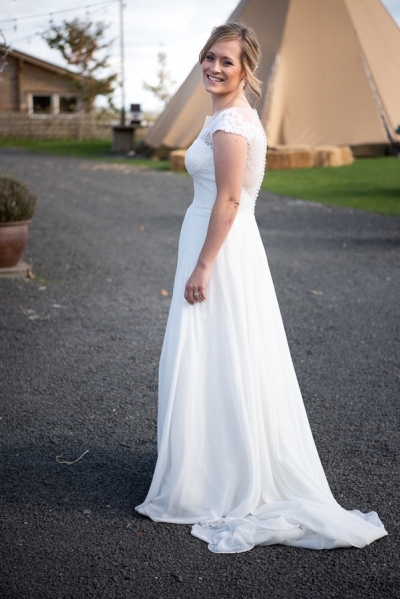 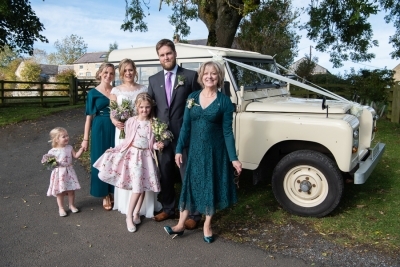 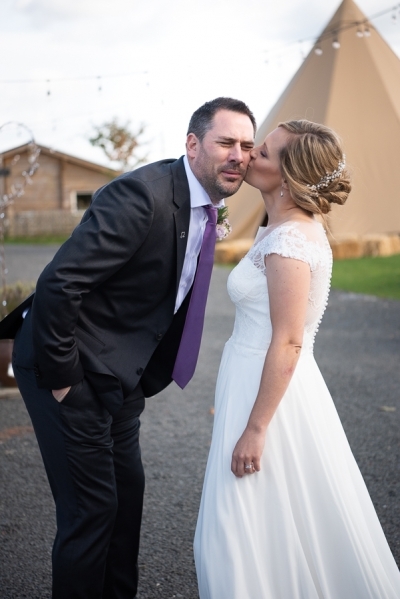 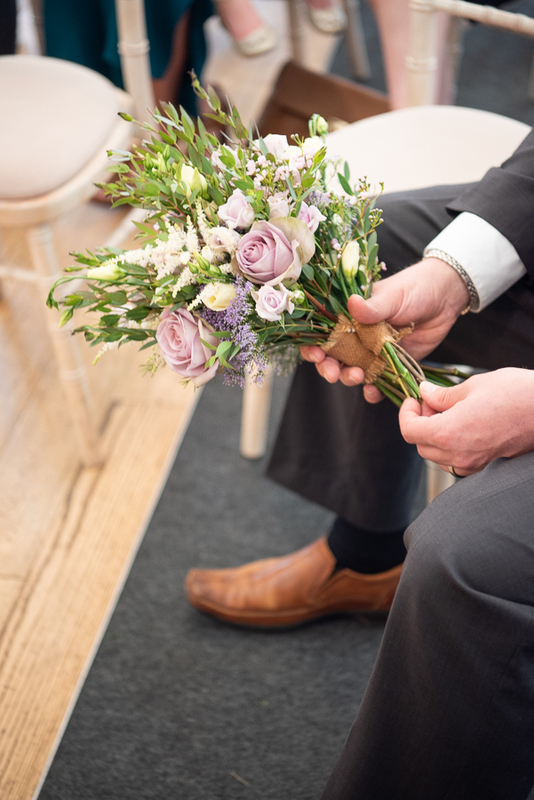 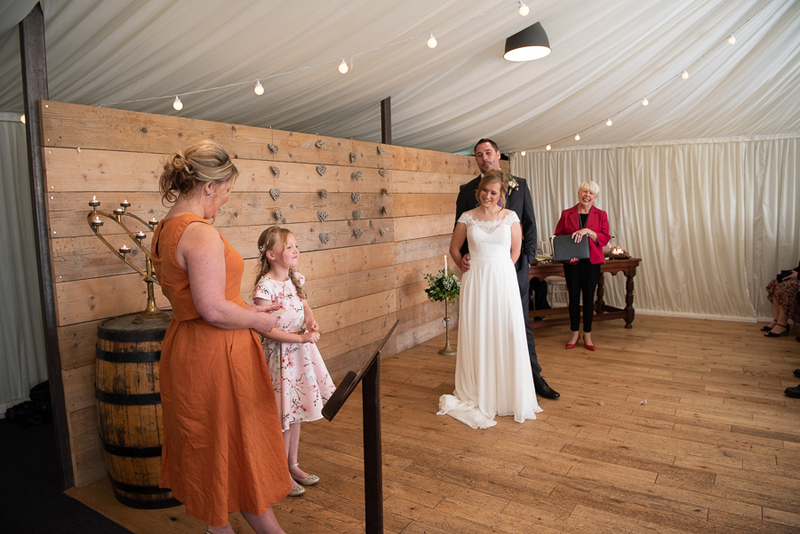 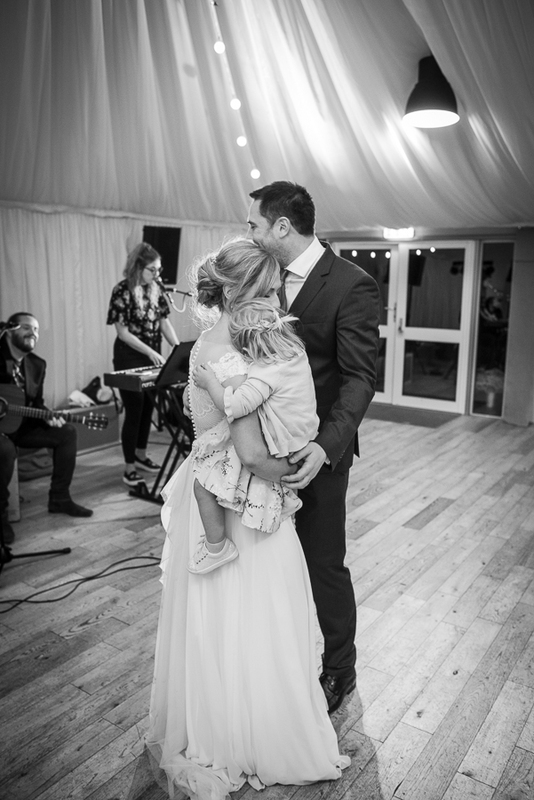 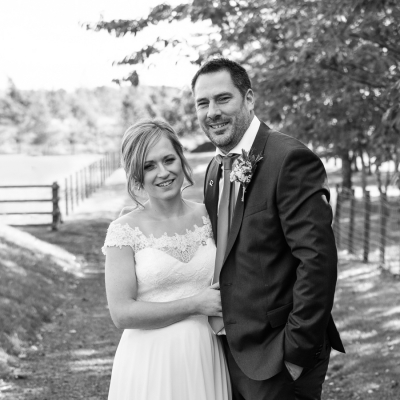 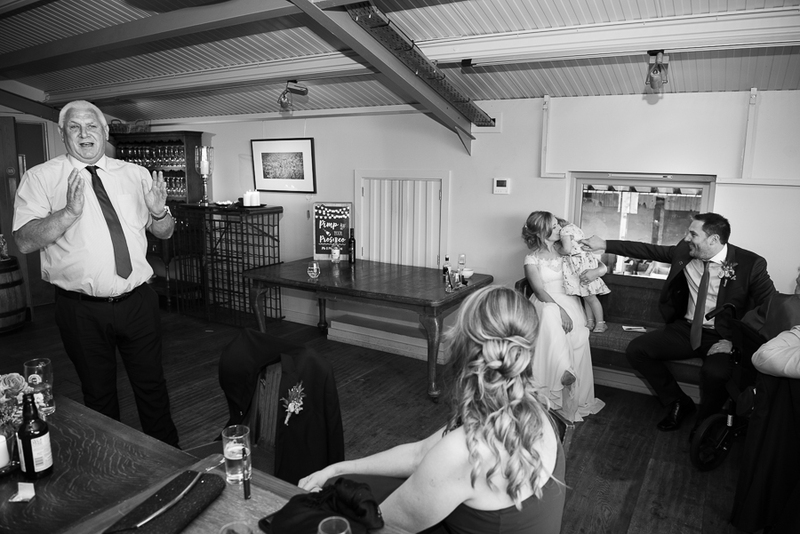 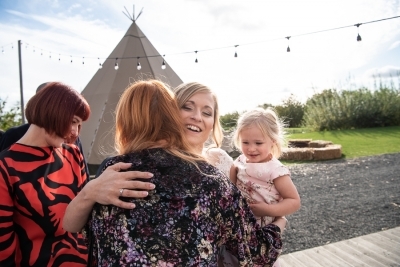 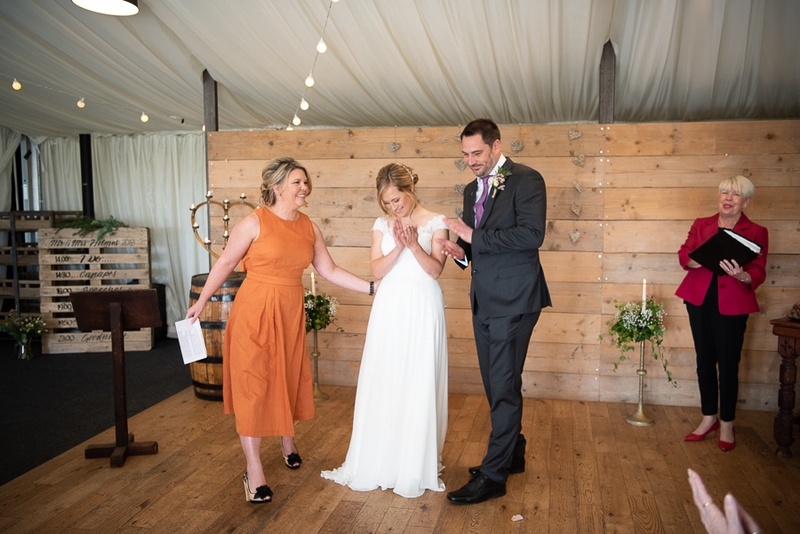 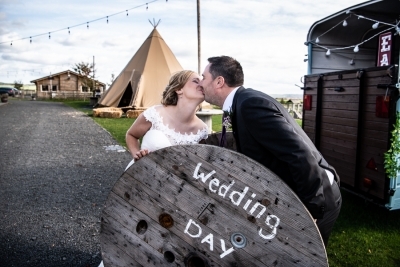 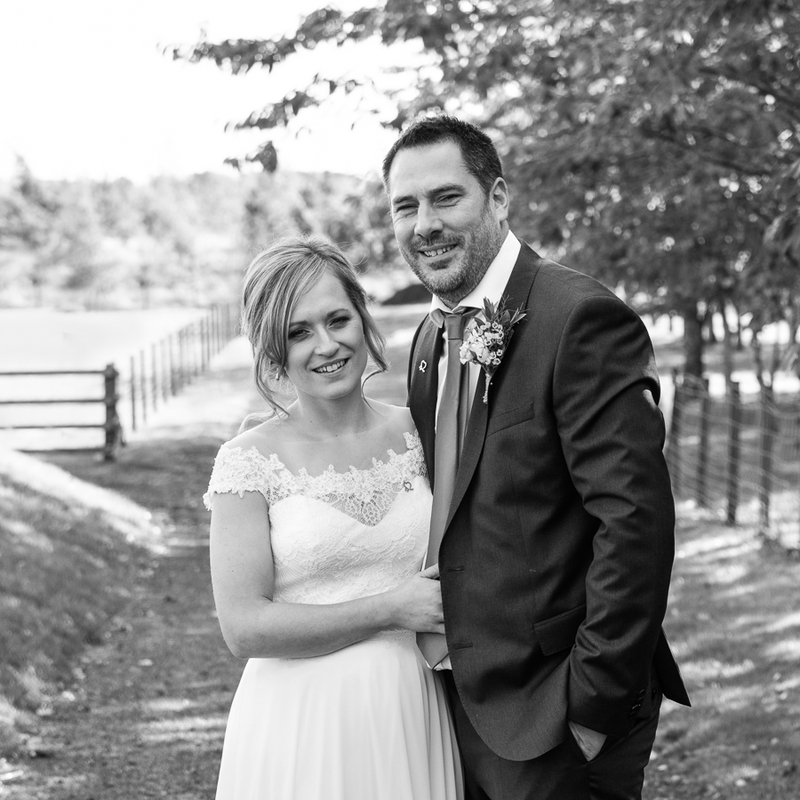 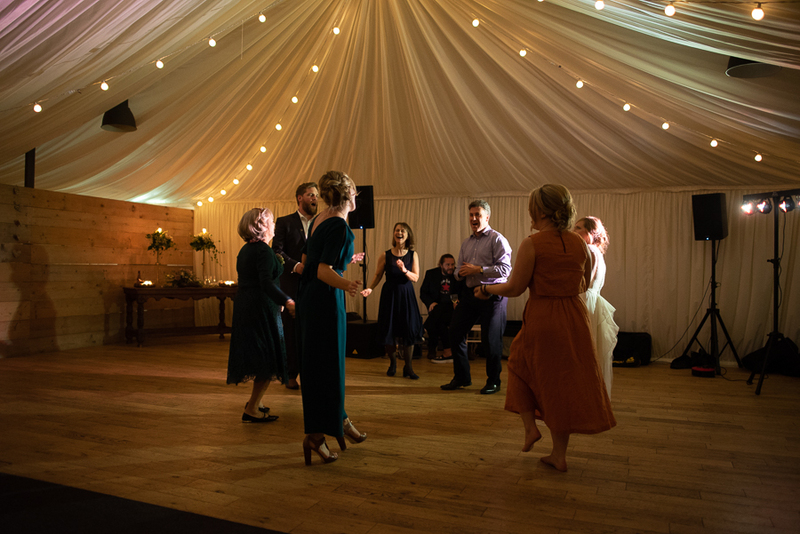 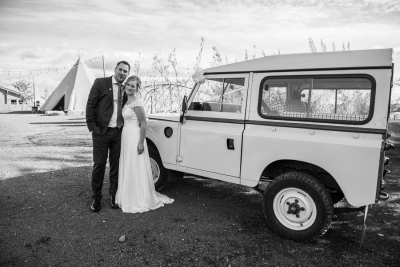 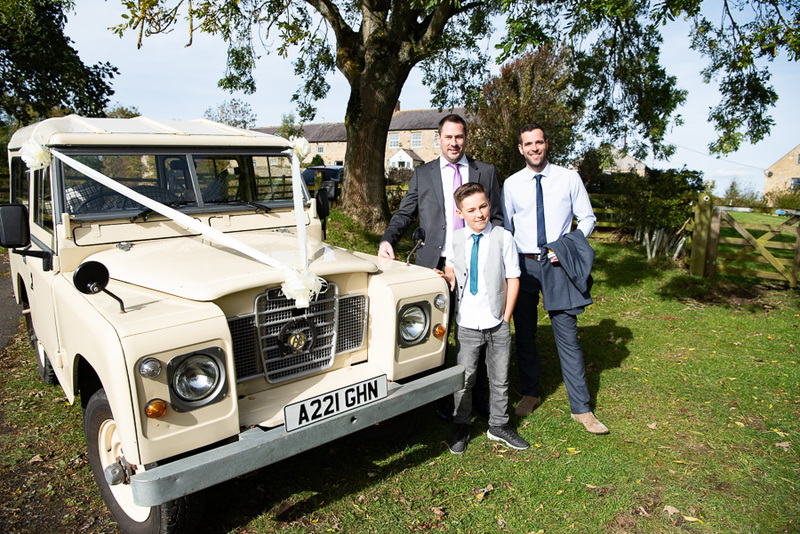 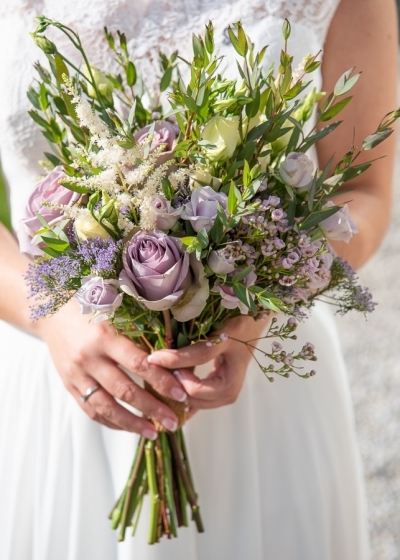 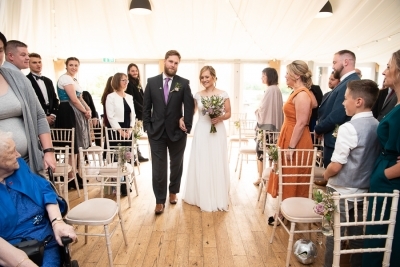 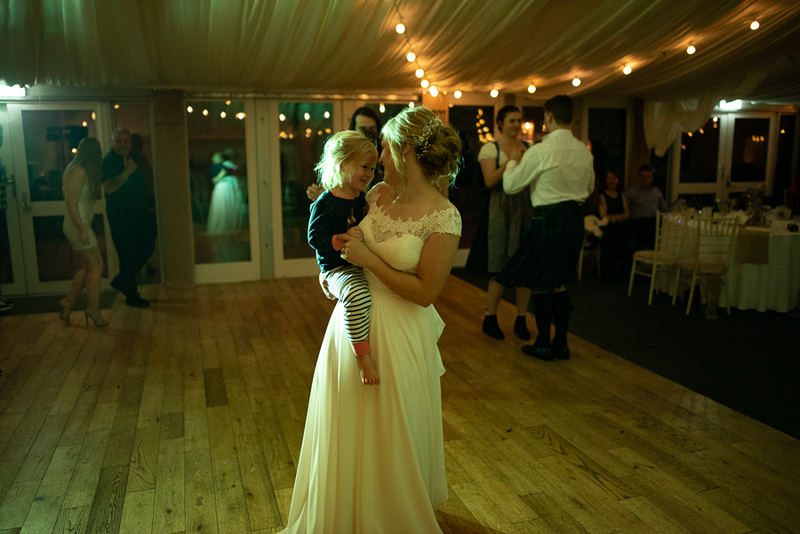 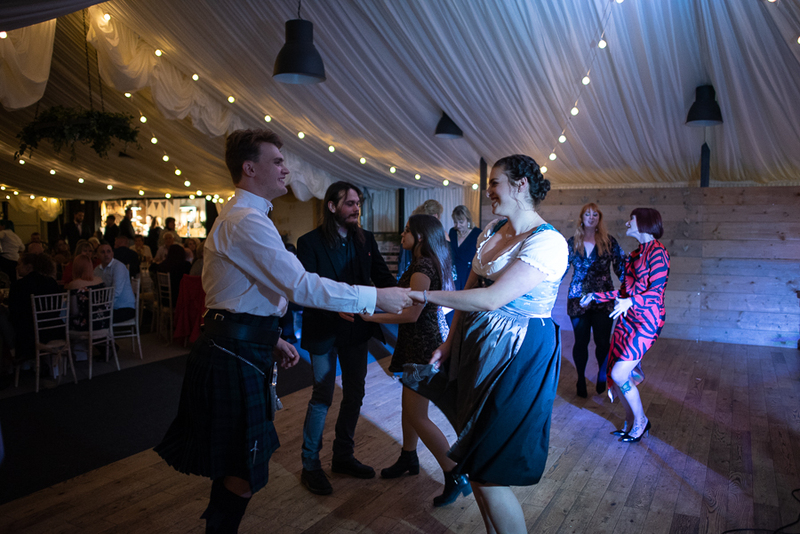 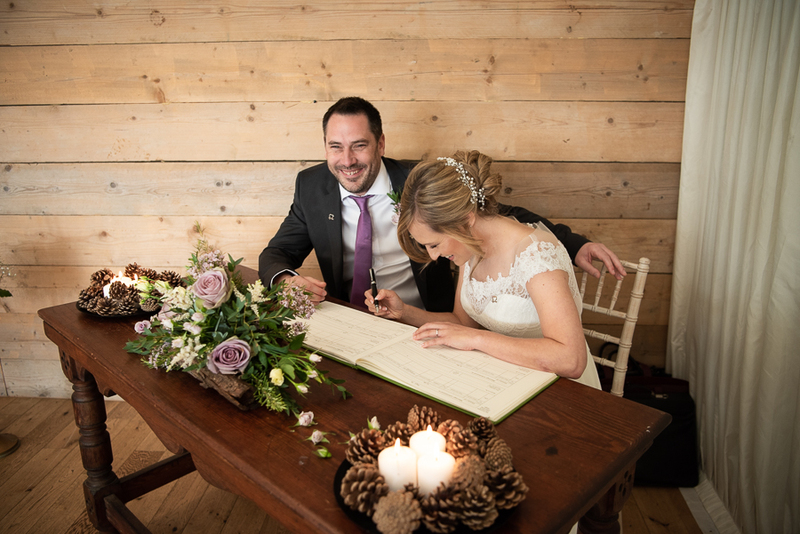 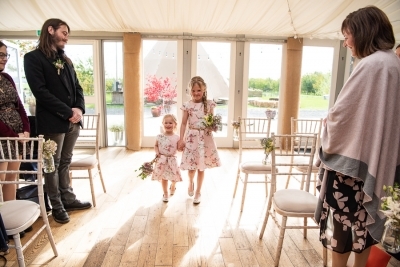 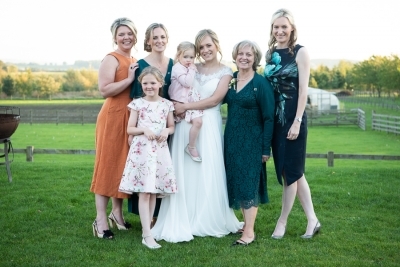 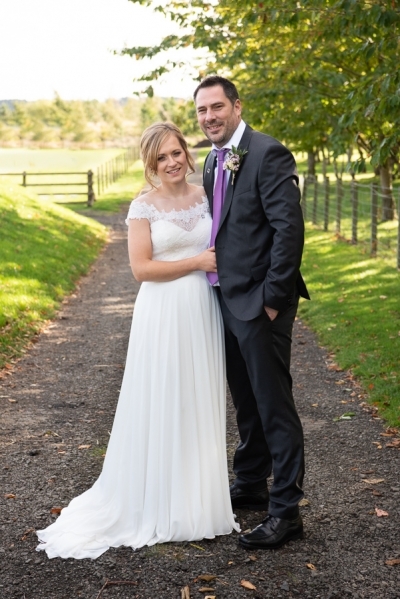 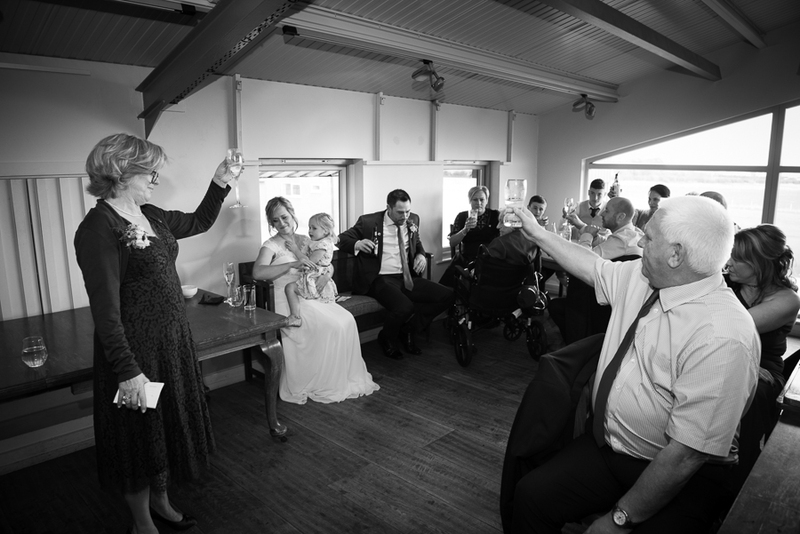 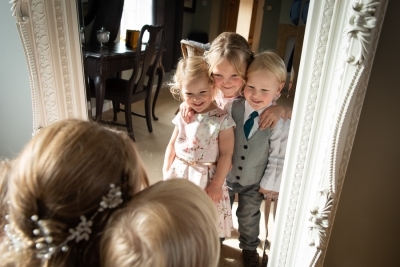 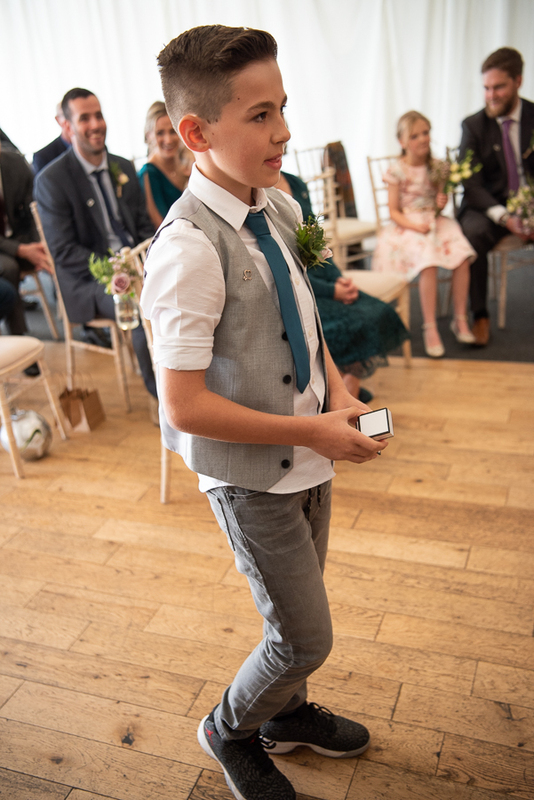 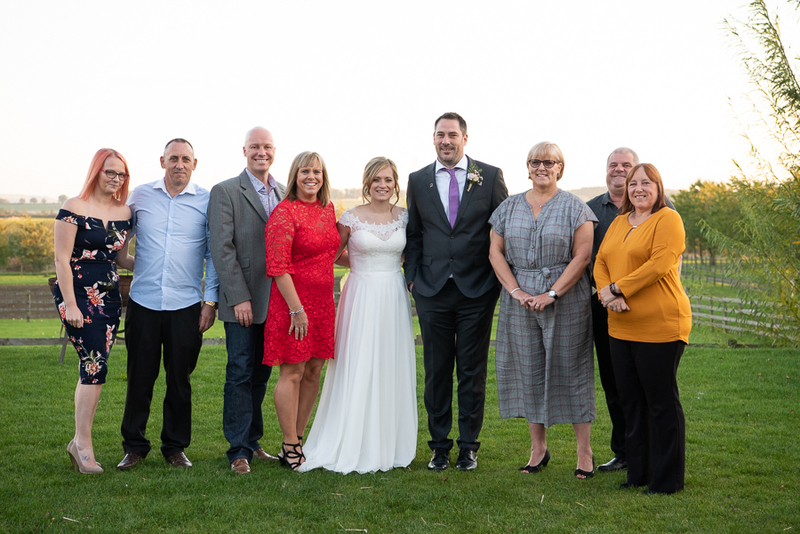 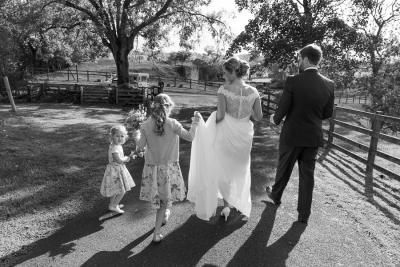 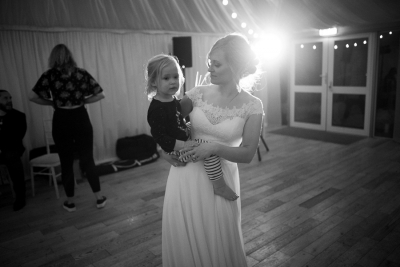 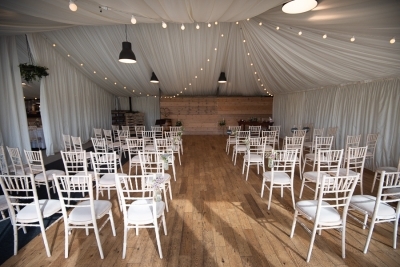 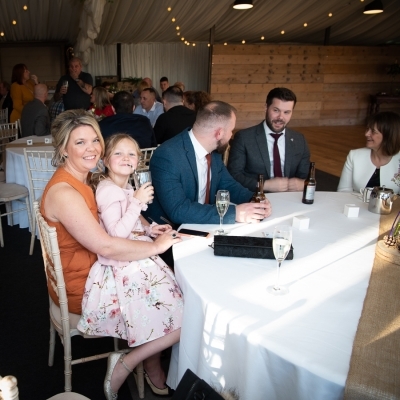 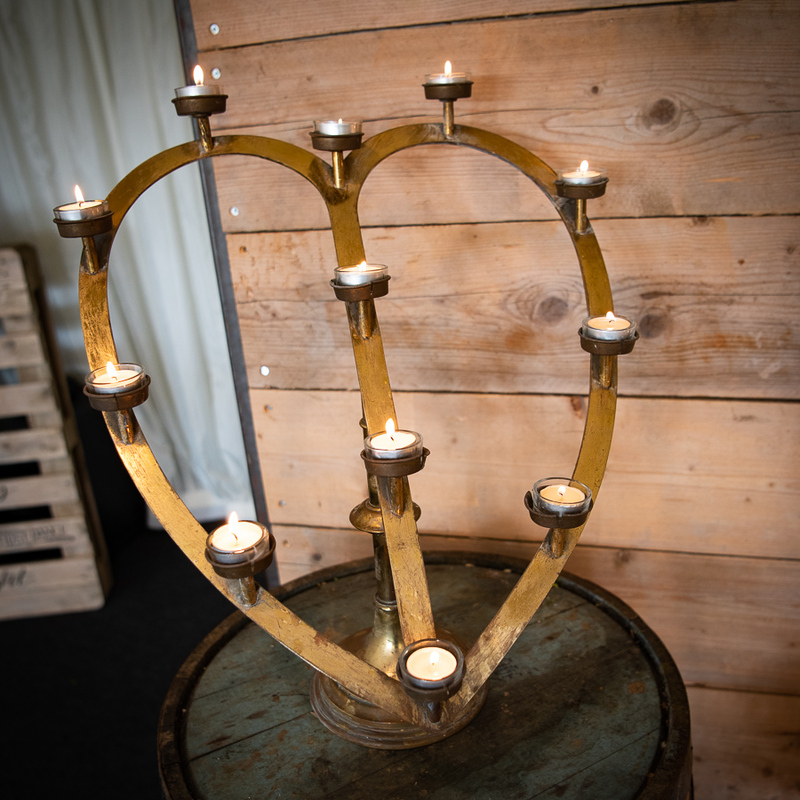 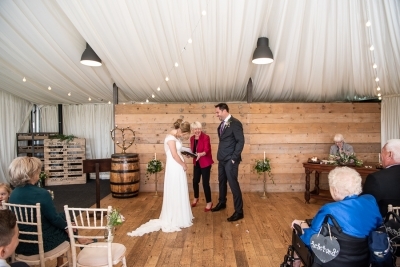 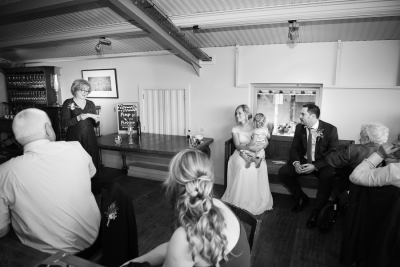 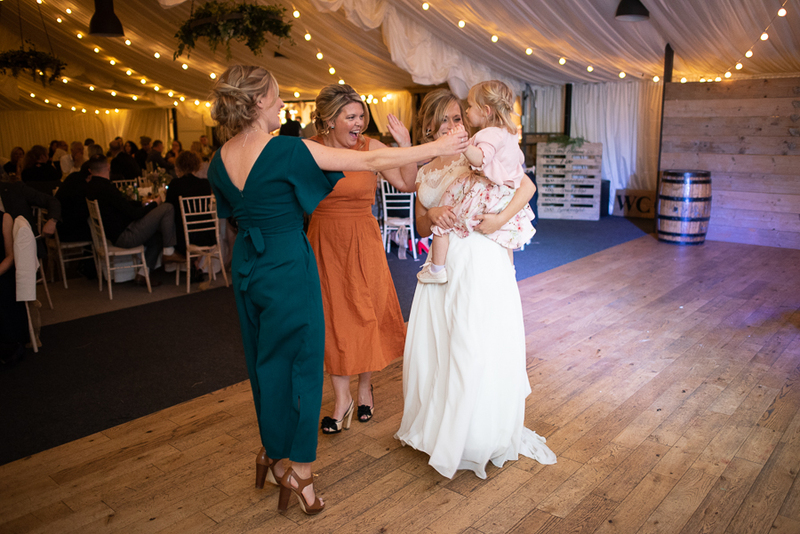 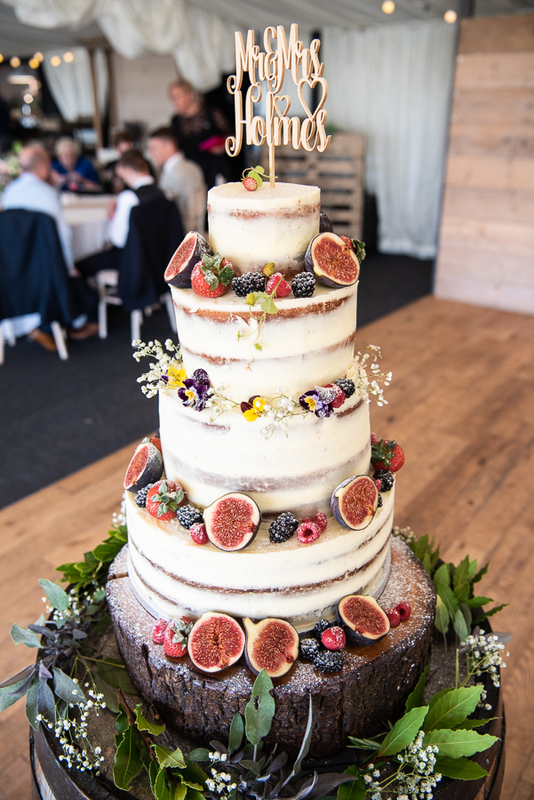 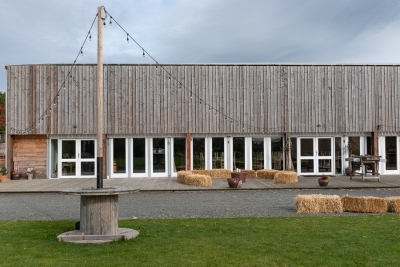 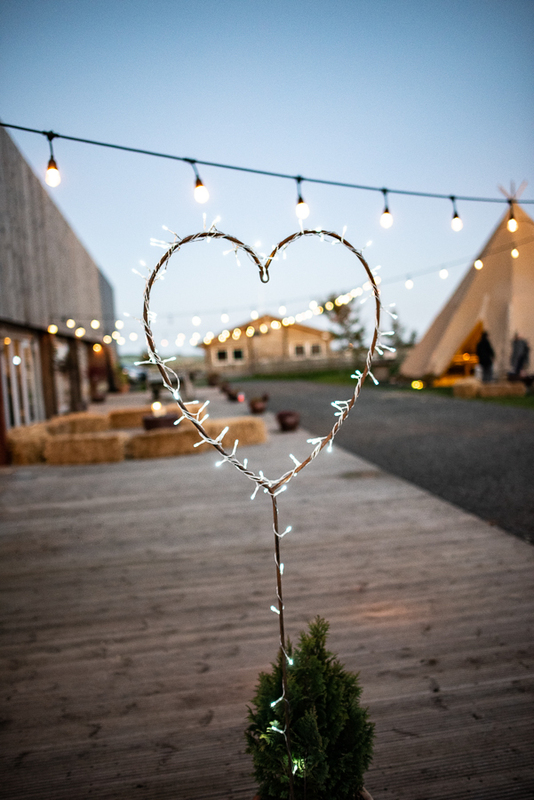 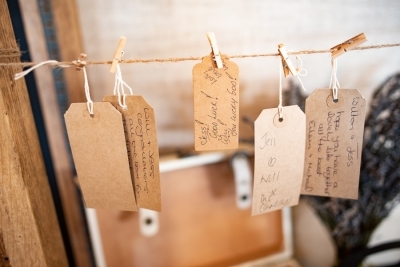 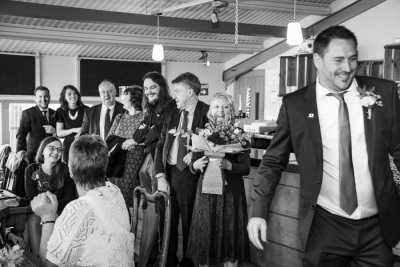 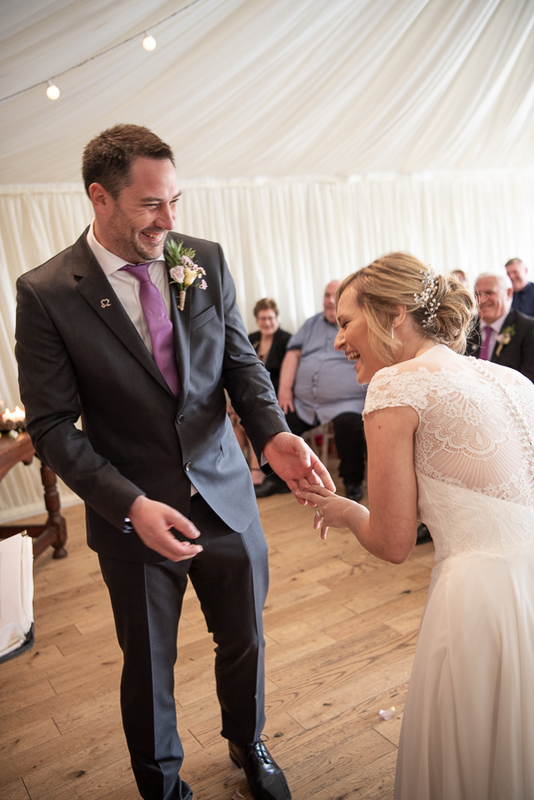 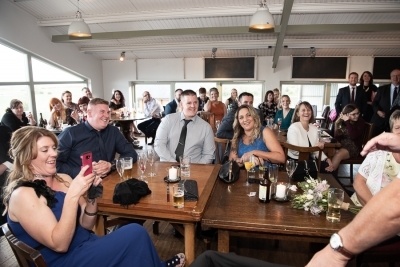 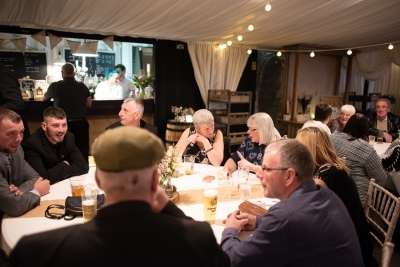 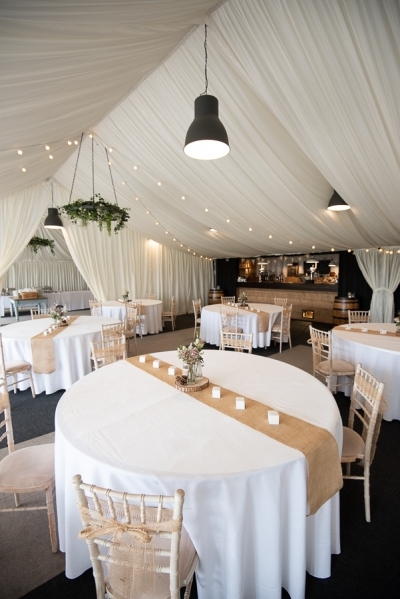 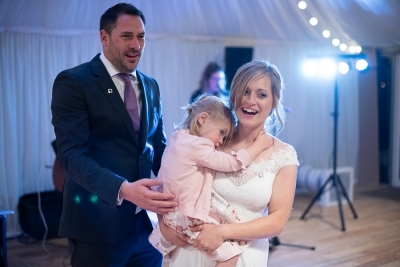 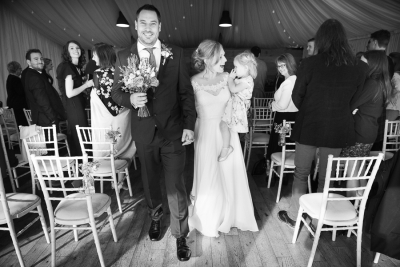 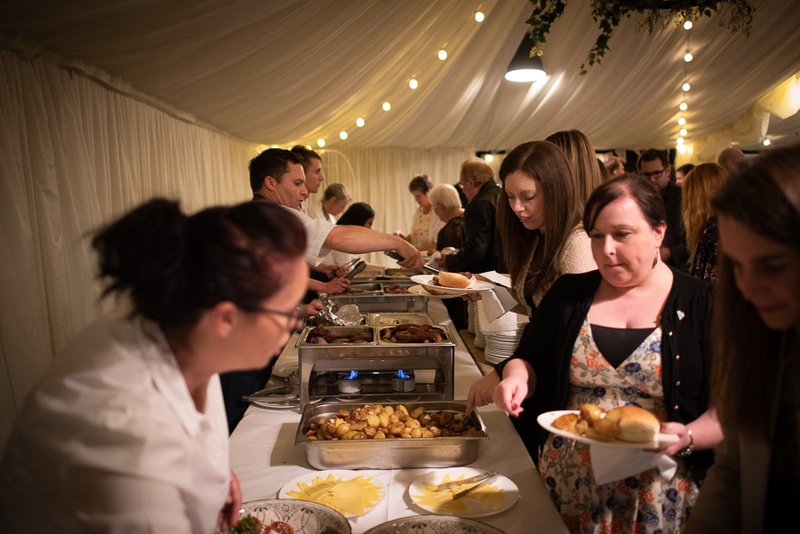 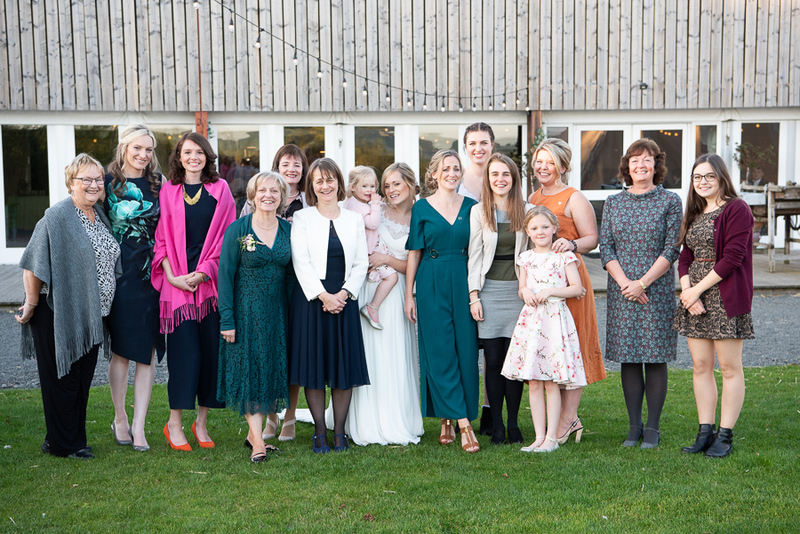 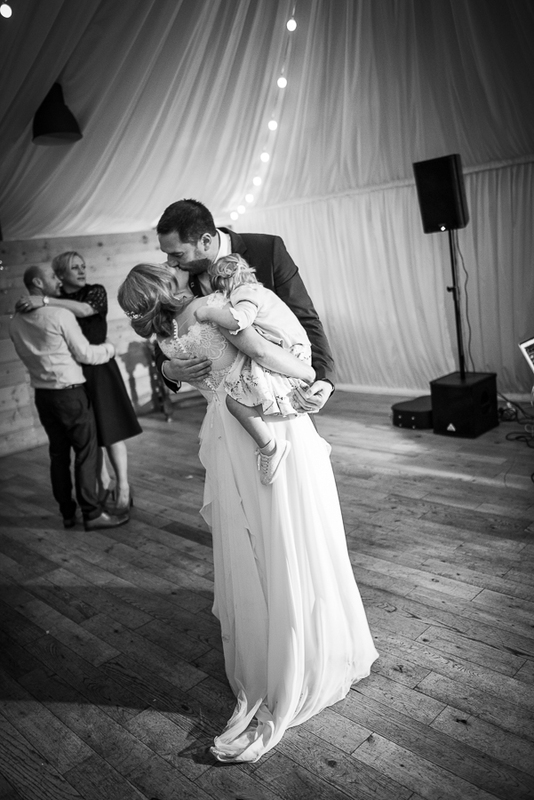 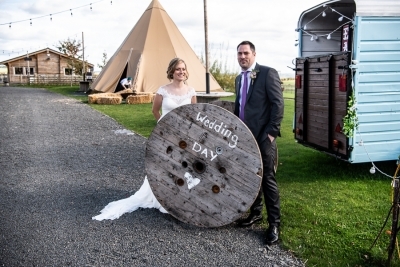 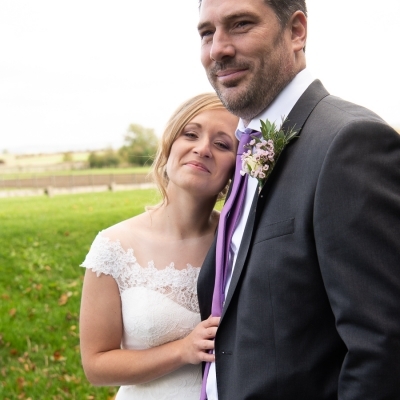 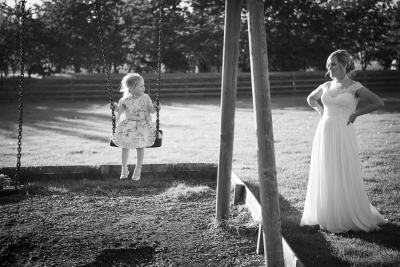 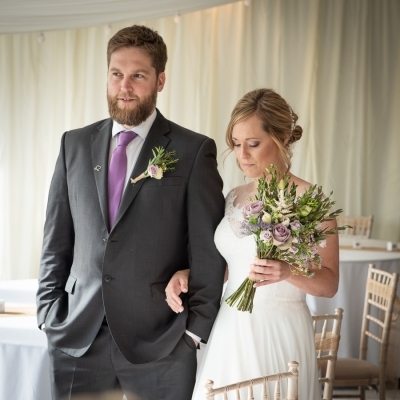 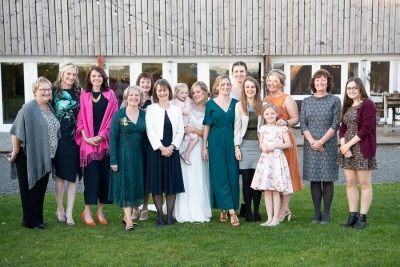 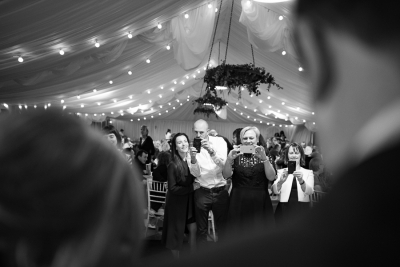 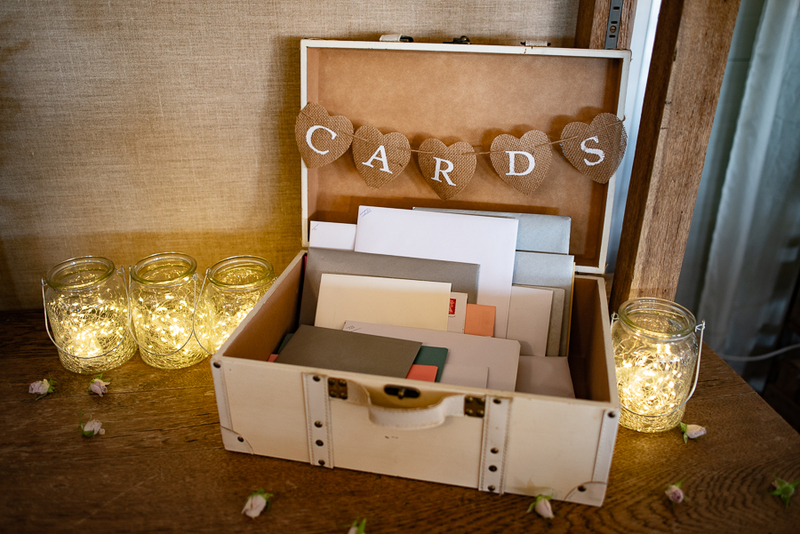 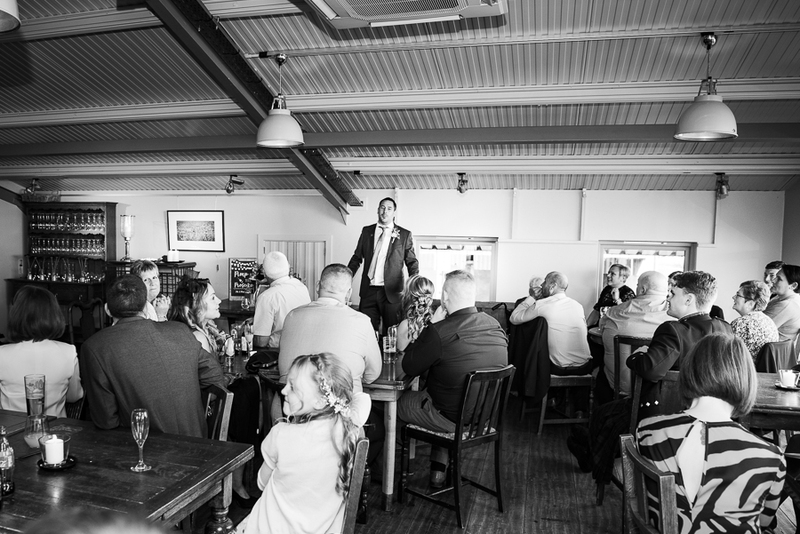 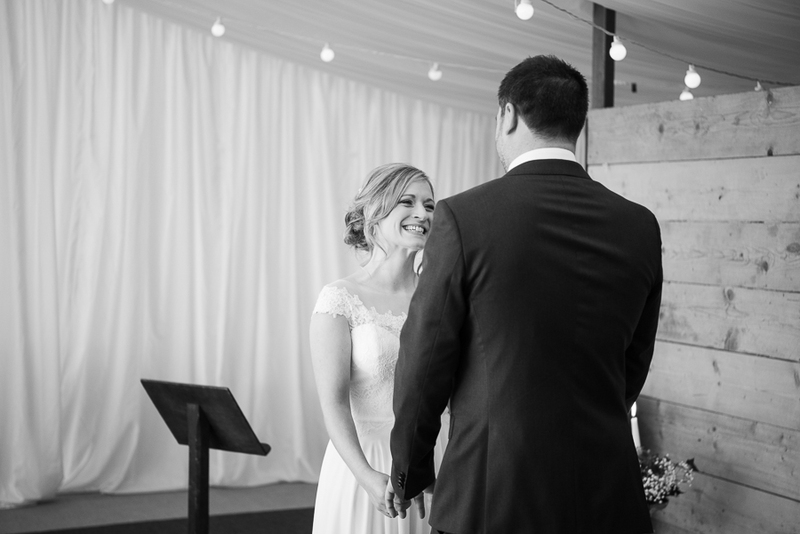 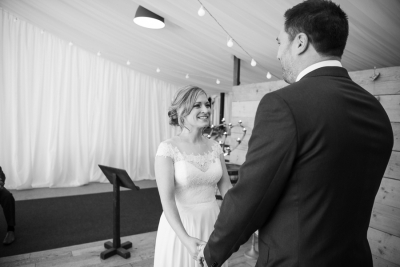 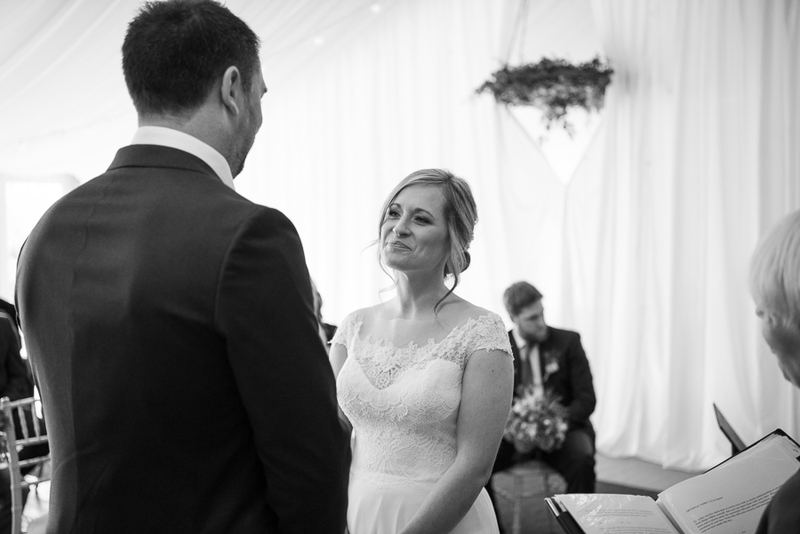 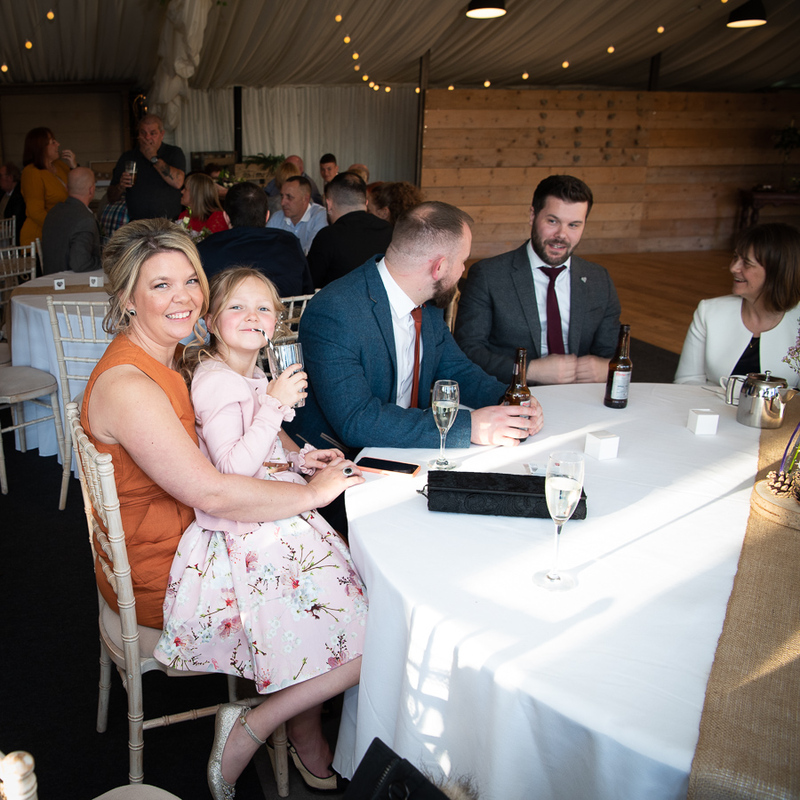 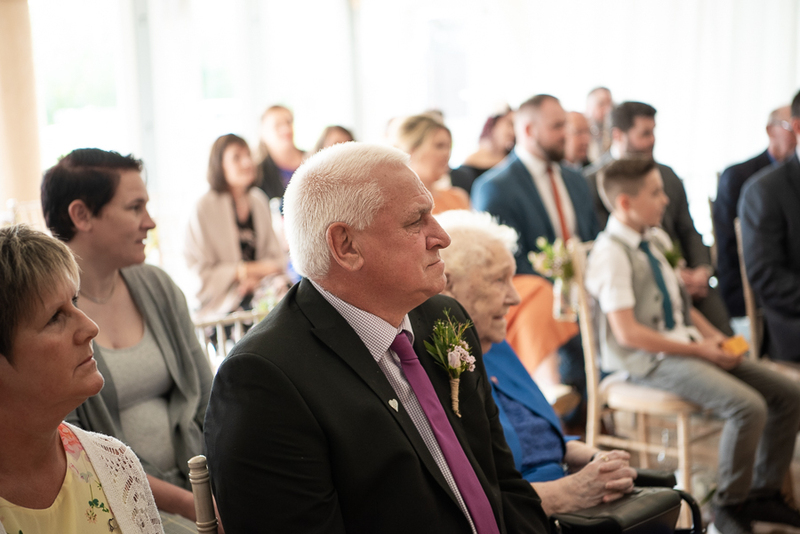 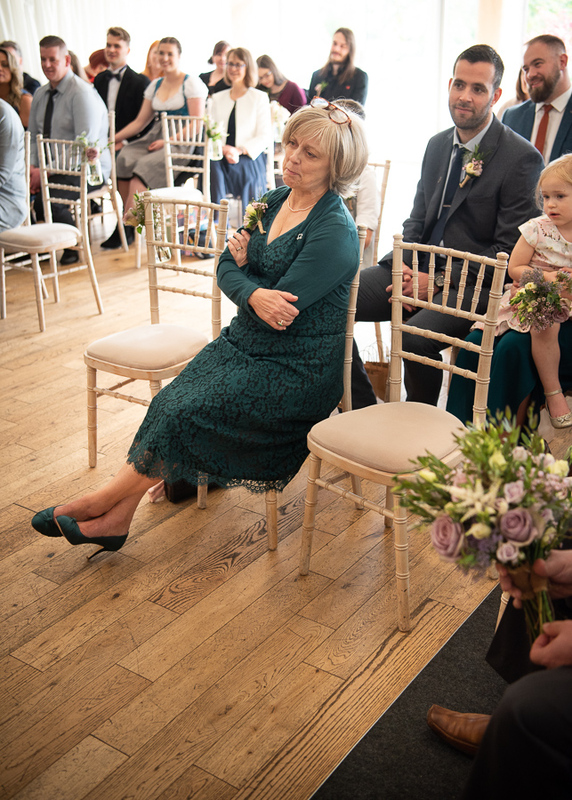 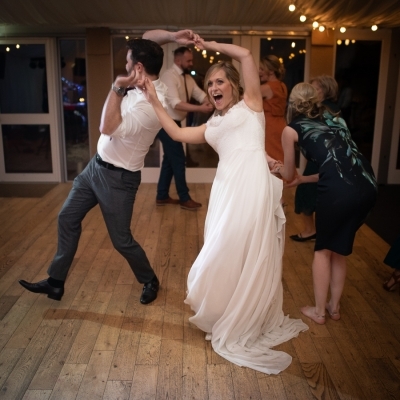 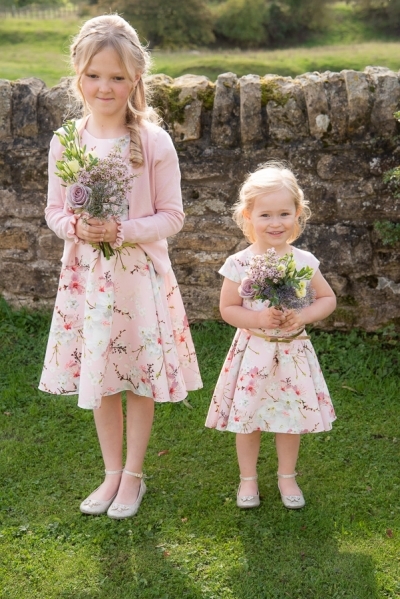 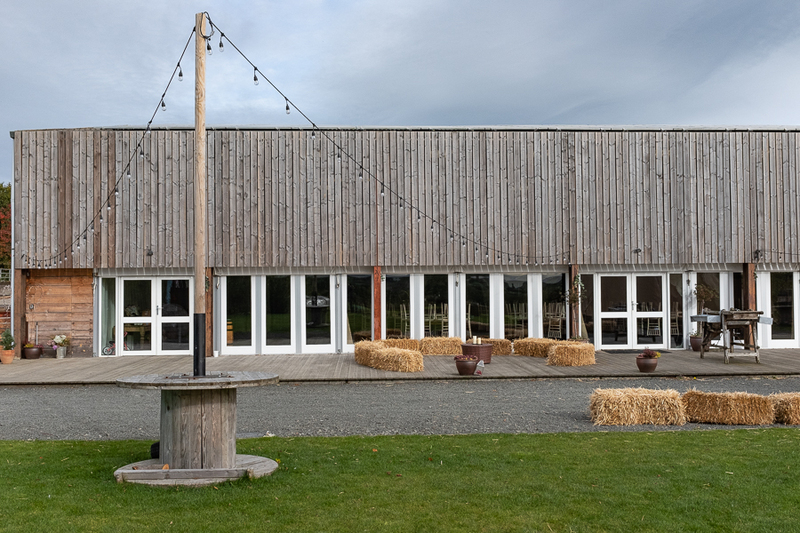 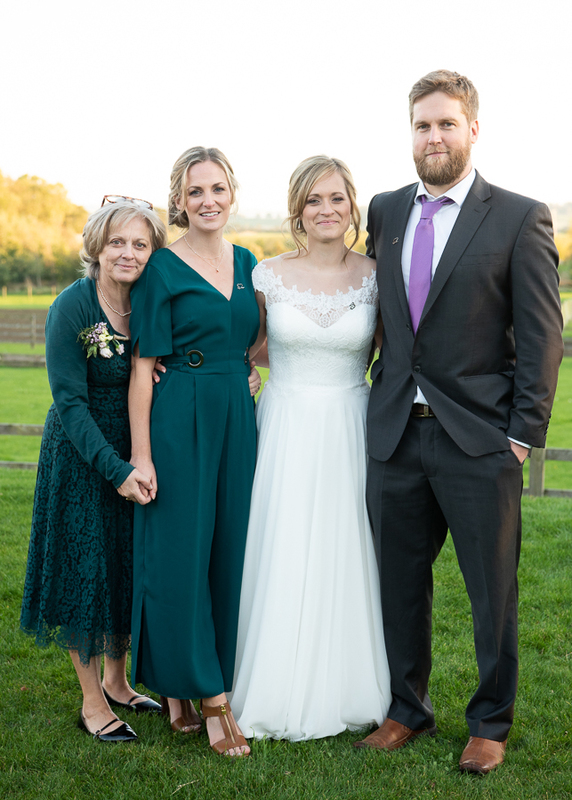 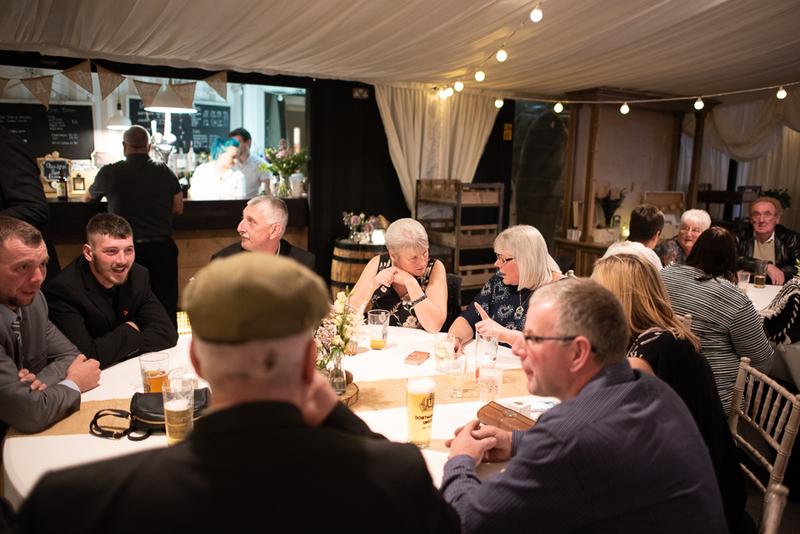 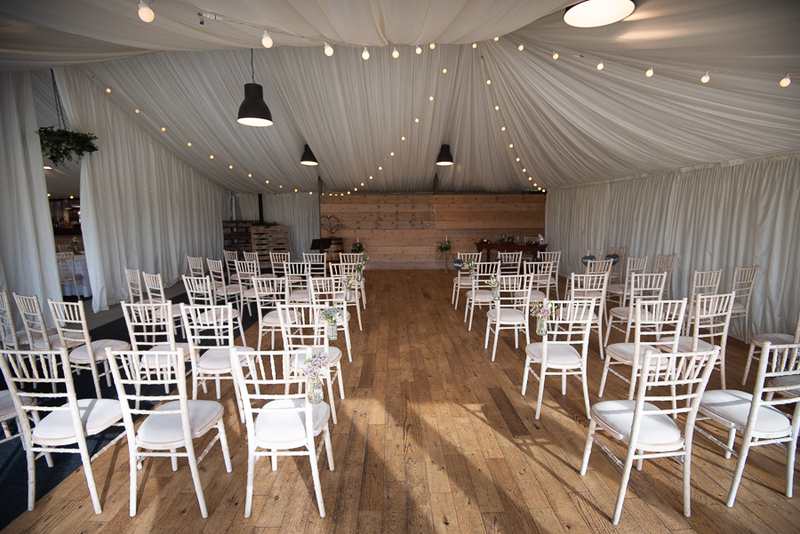 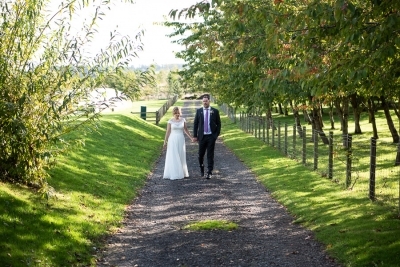 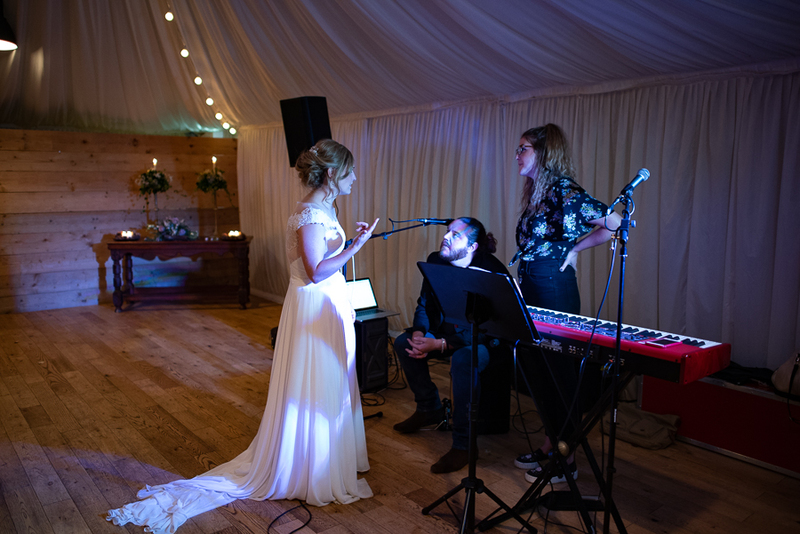 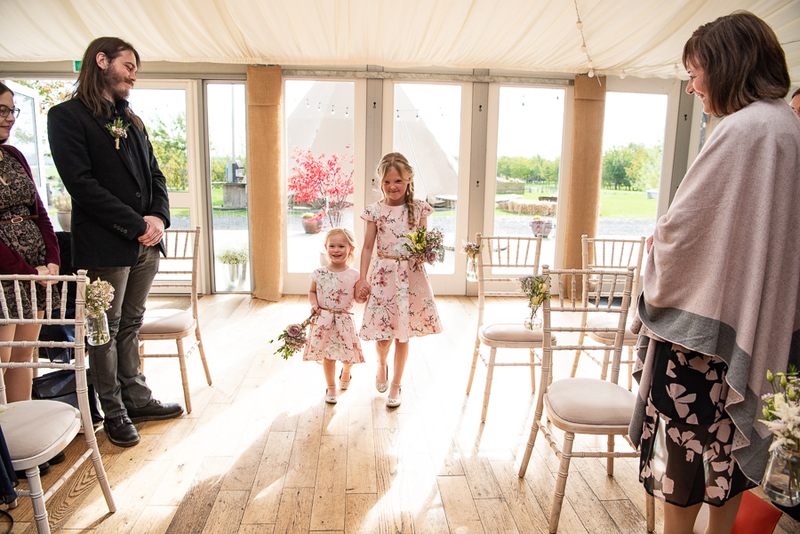 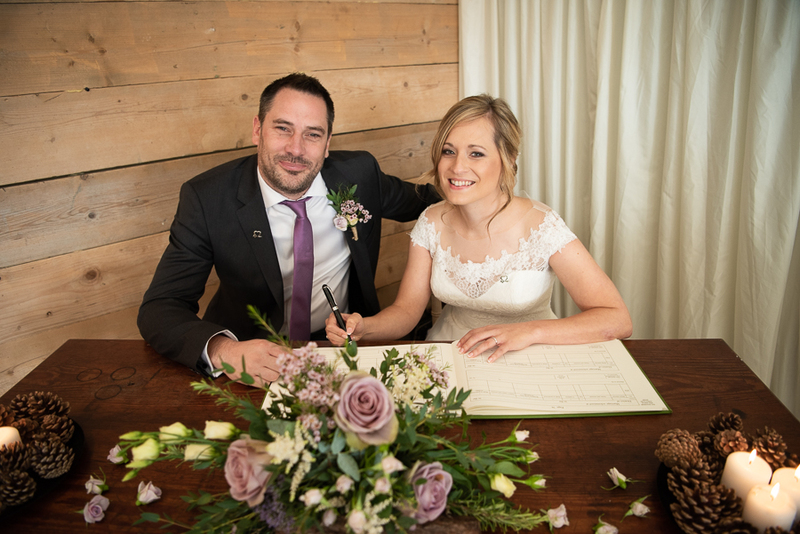 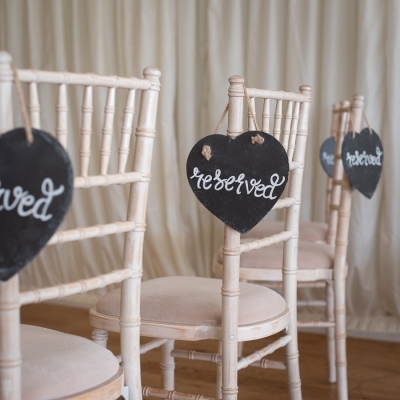 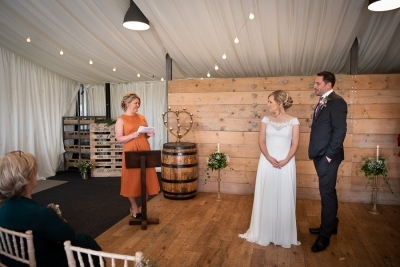 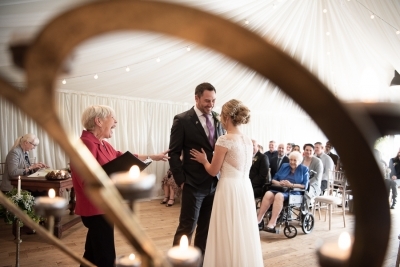 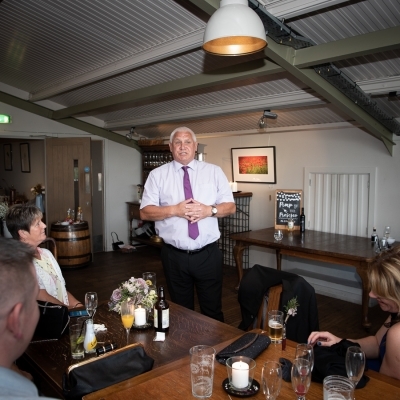 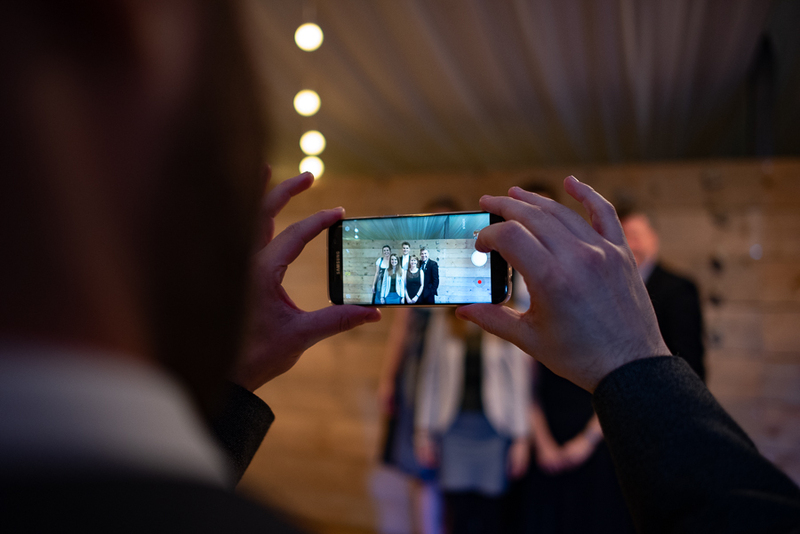 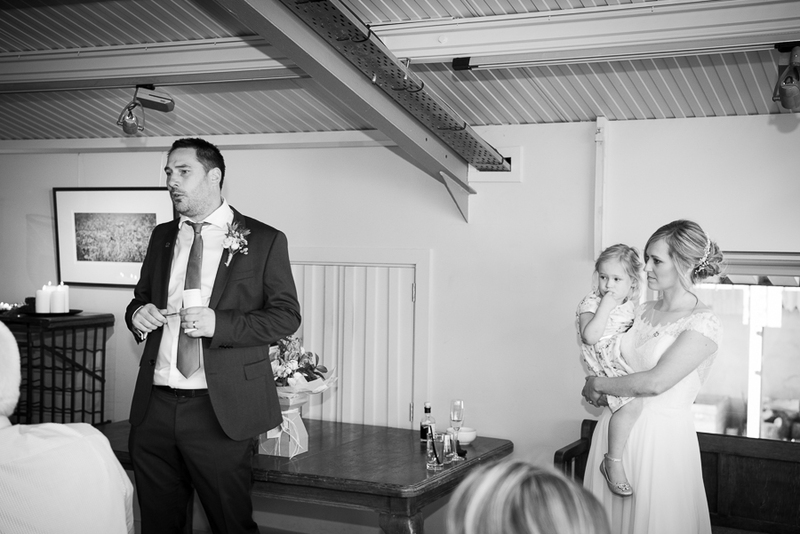 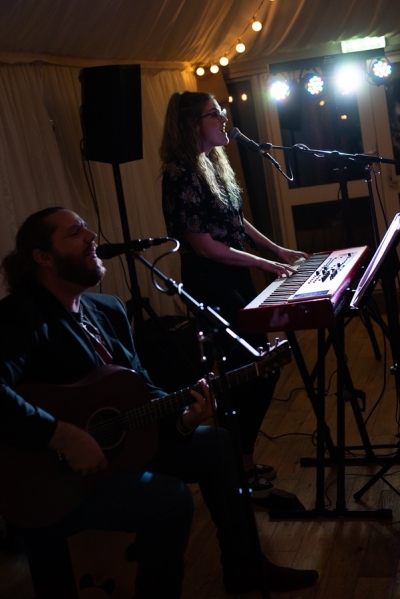 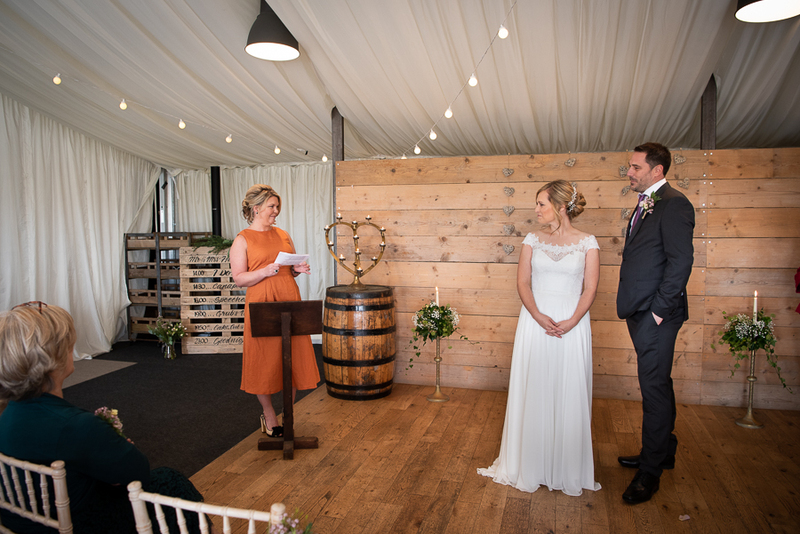 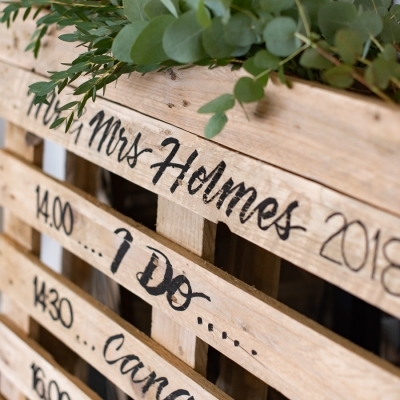 Family and friends travelled from near and far for the celebrations at the beautiful rural setting of Vallum Farm – in the heart of Hadrian’s Wall country, a stone’s throw from Newcastle. 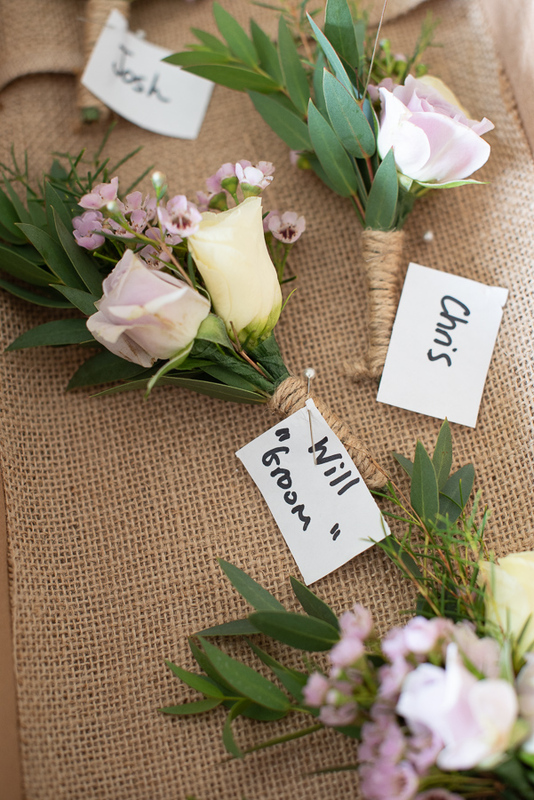 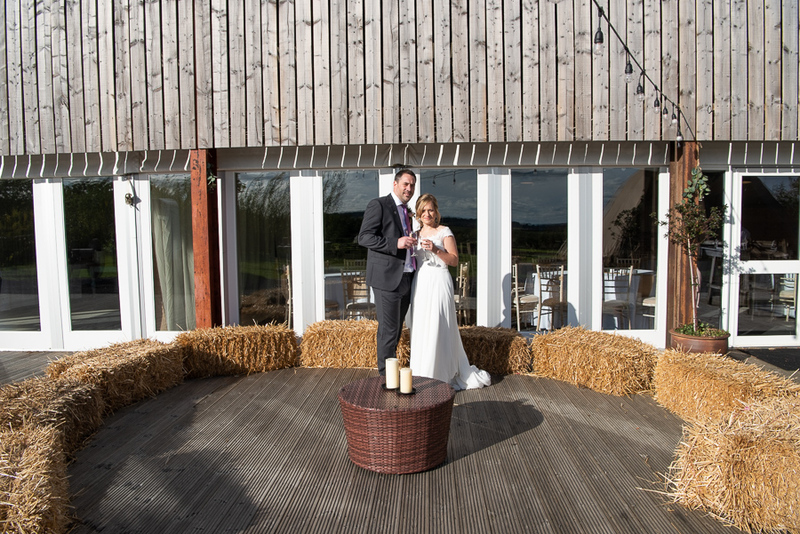 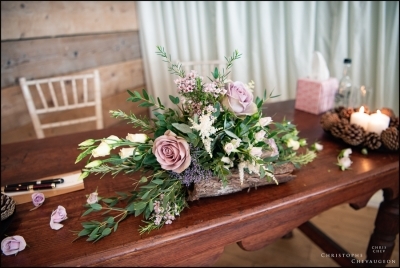 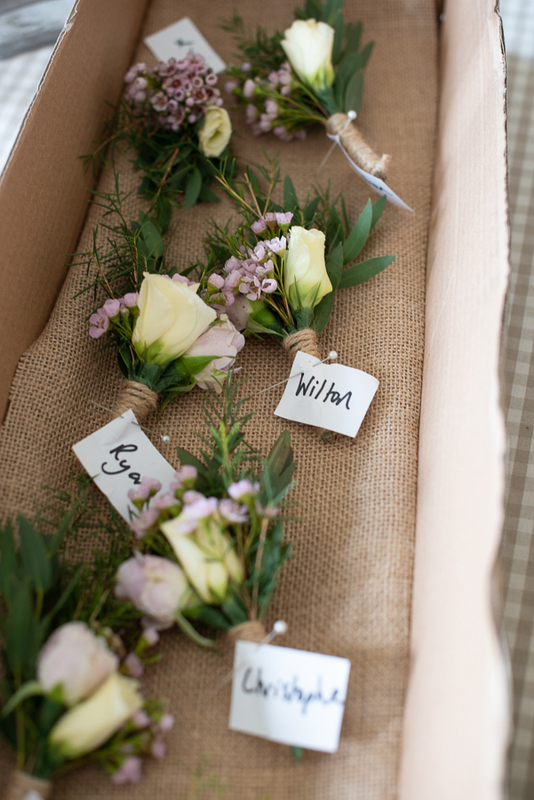 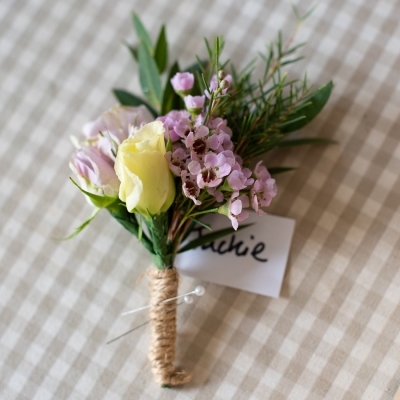 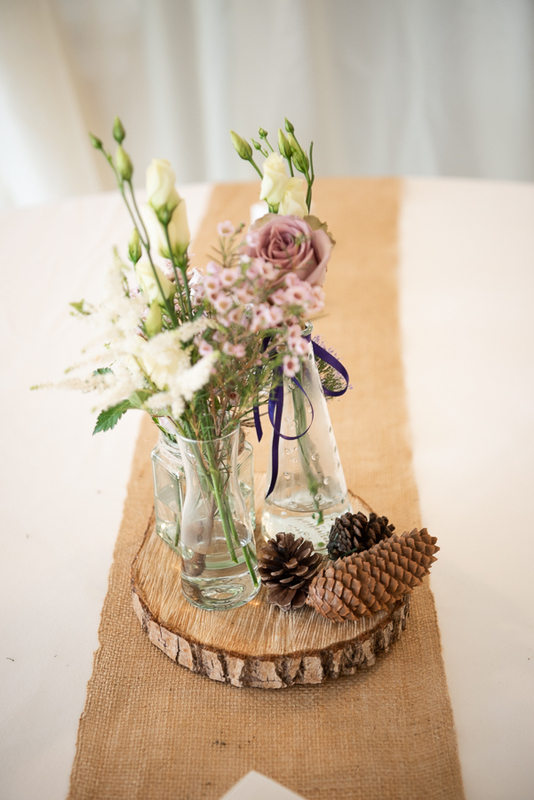 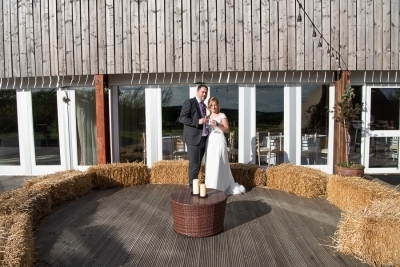 Straw bales, hessian, candles and beautiful flowers highlighted the rustic theme. 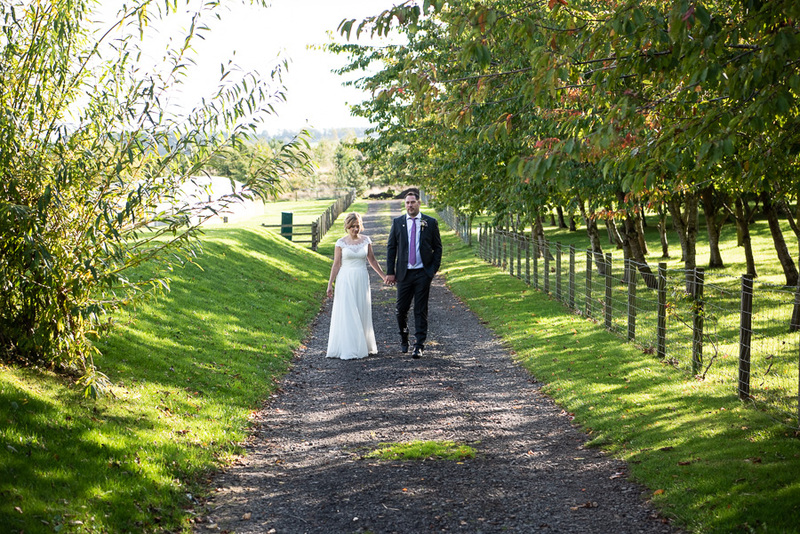 When I arrived at Shelbraes, where the family were staying, the air was crisp, the sky blue and the sun showing off a vivid palette of autumn colours. 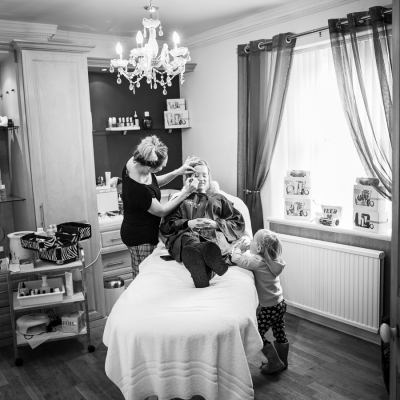 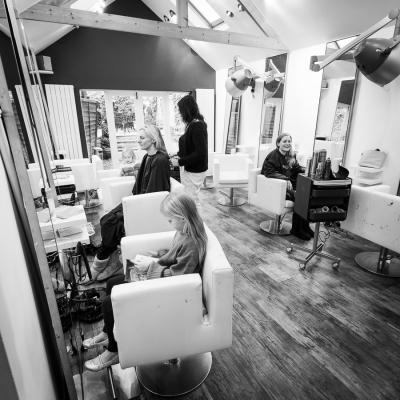 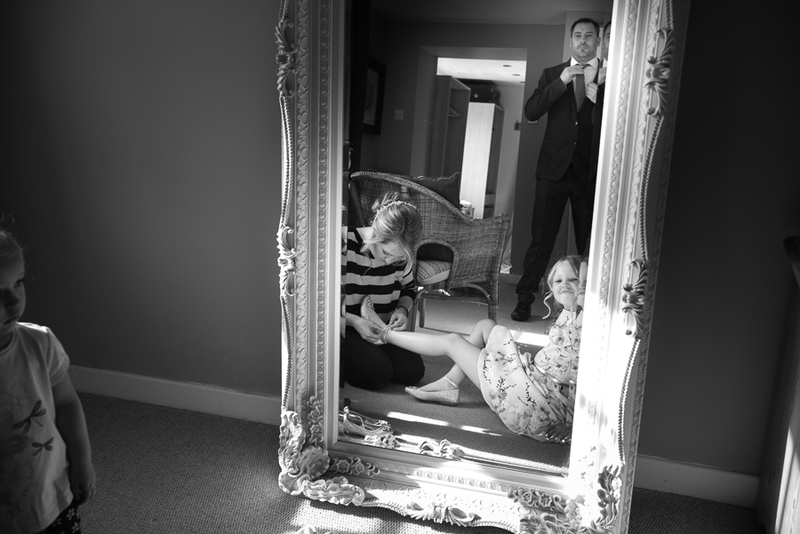 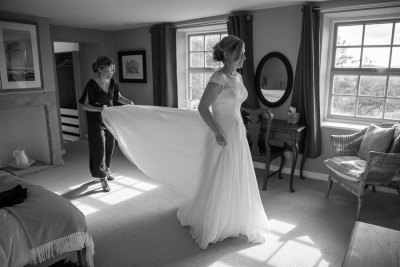 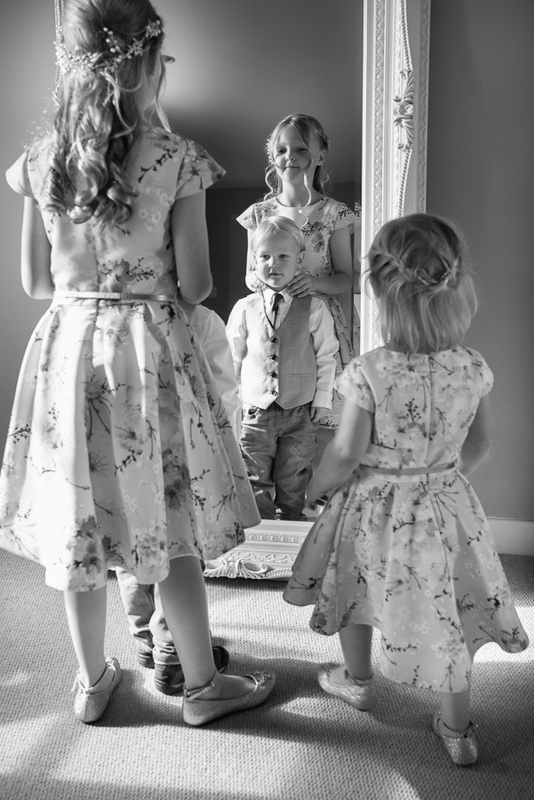 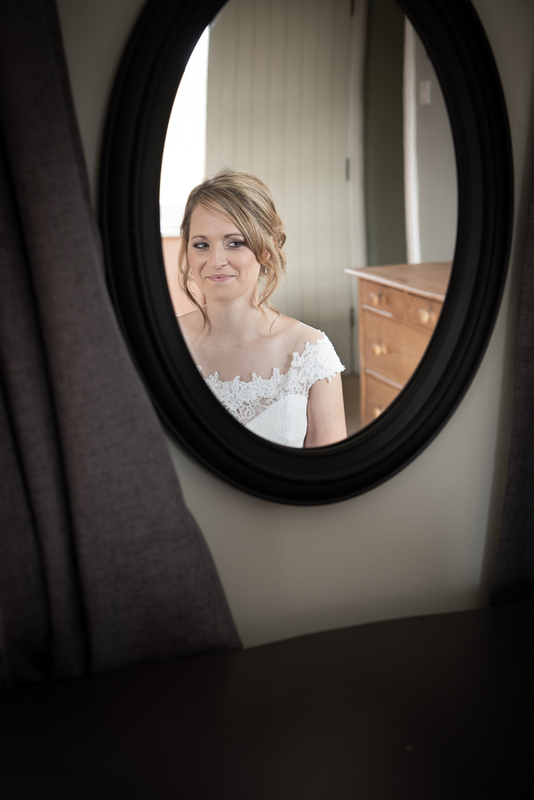 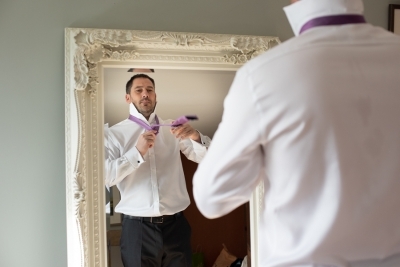 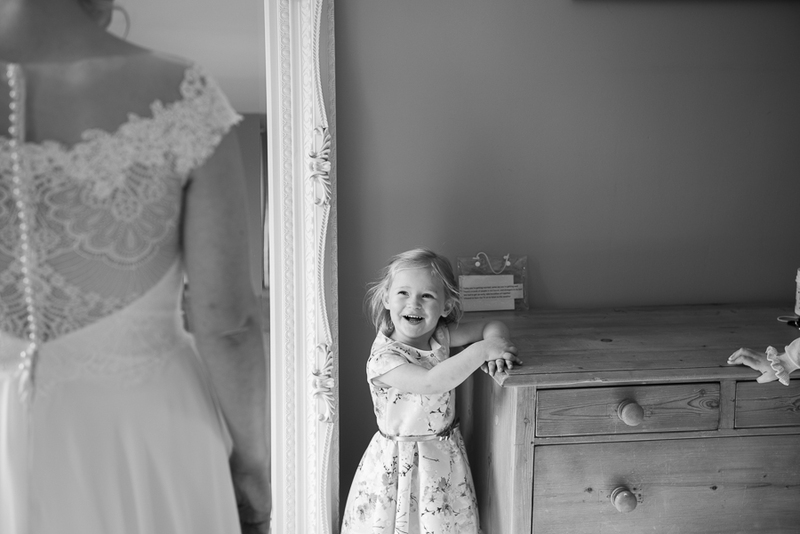 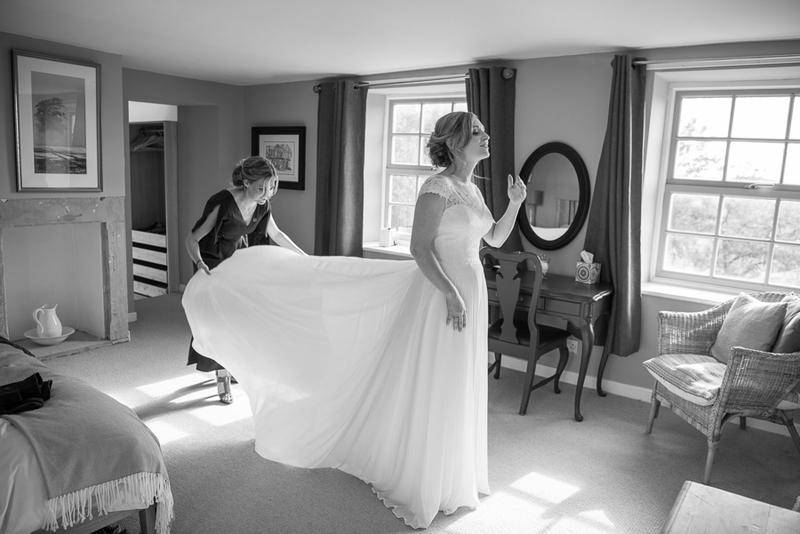 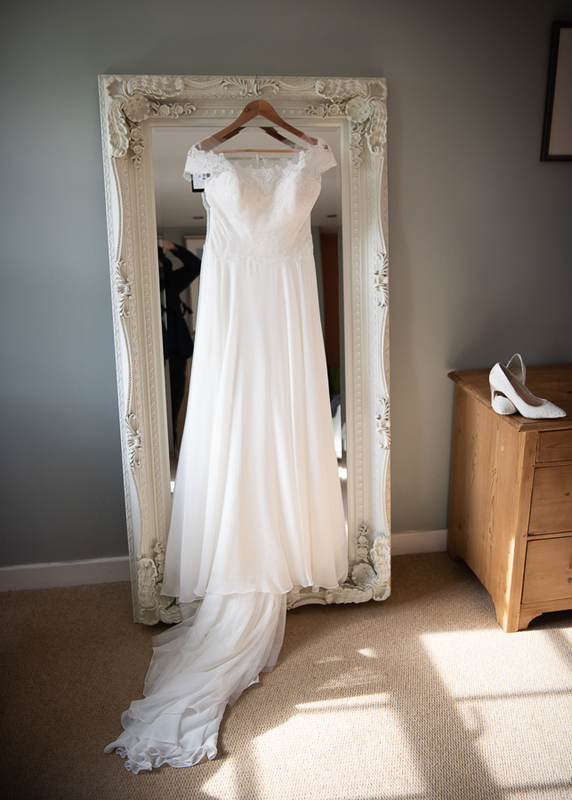 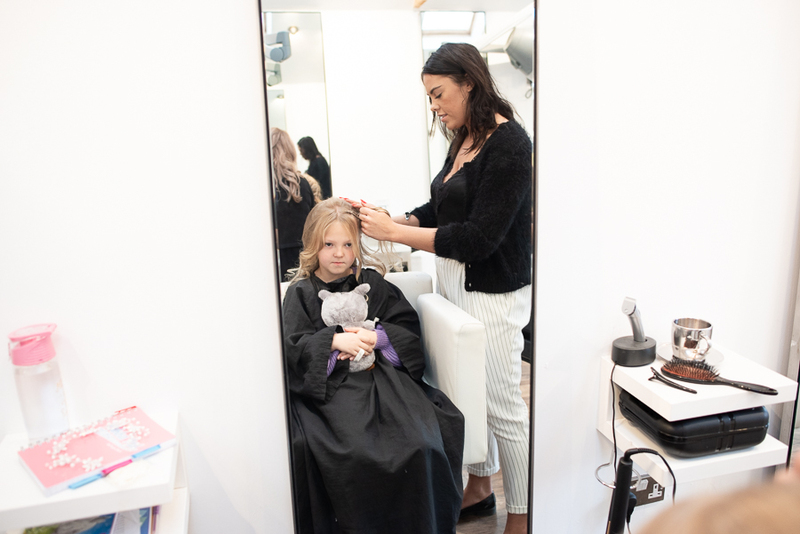 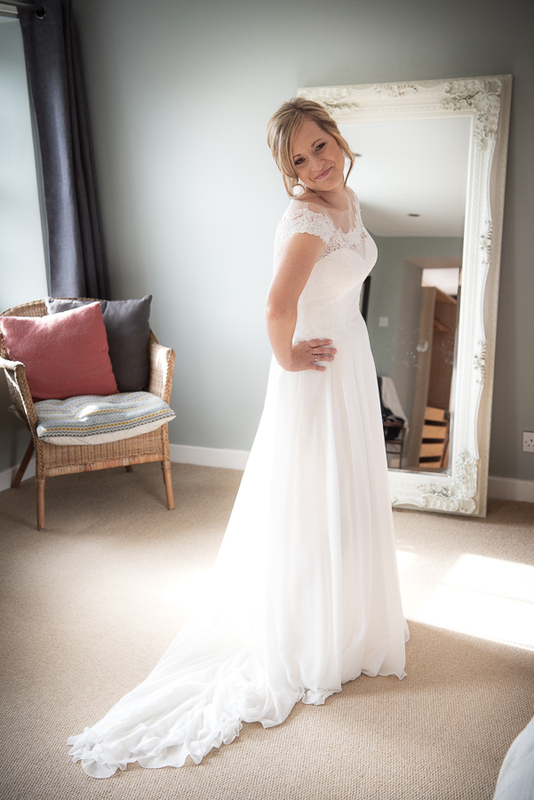 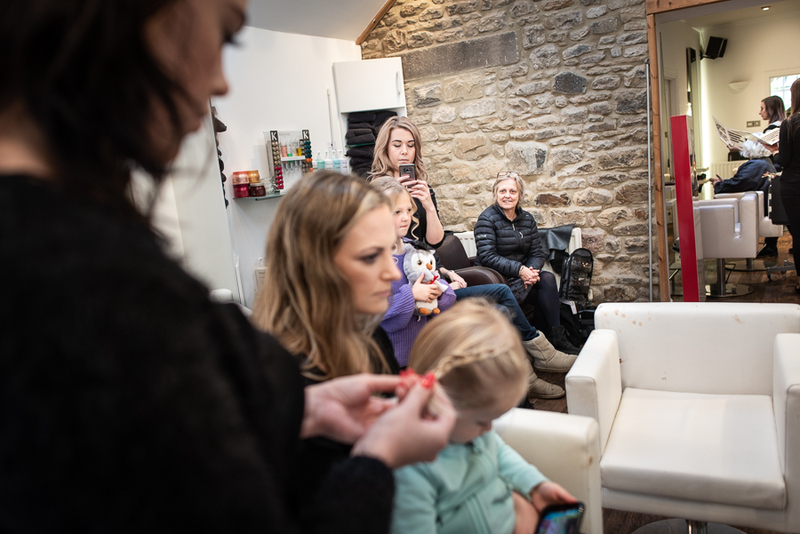 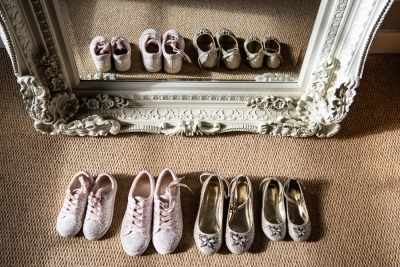 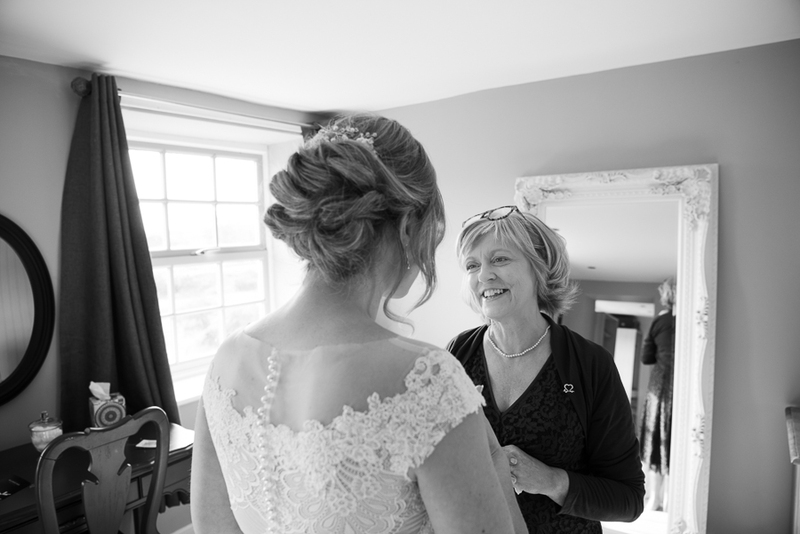 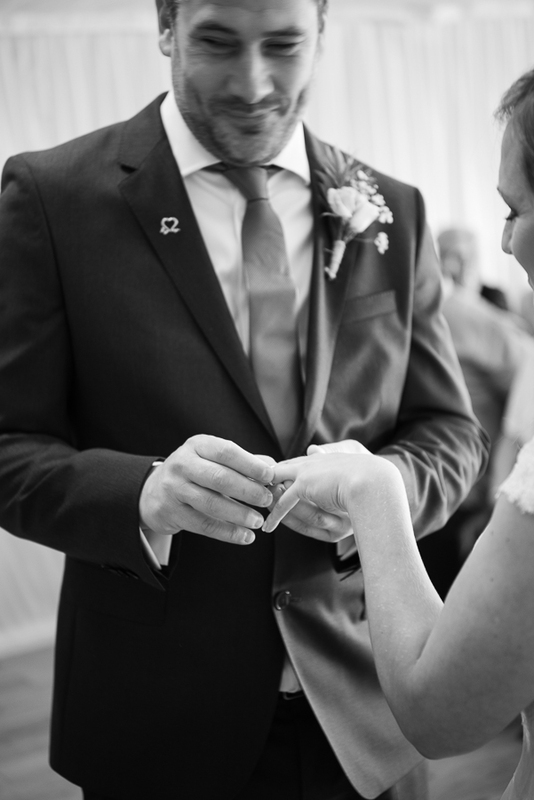 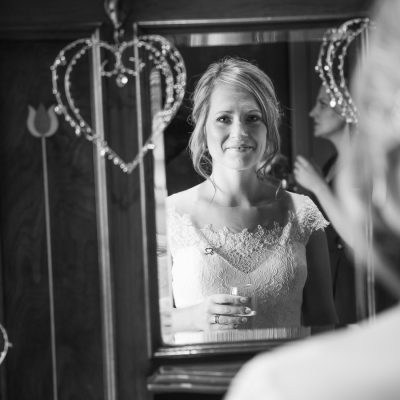 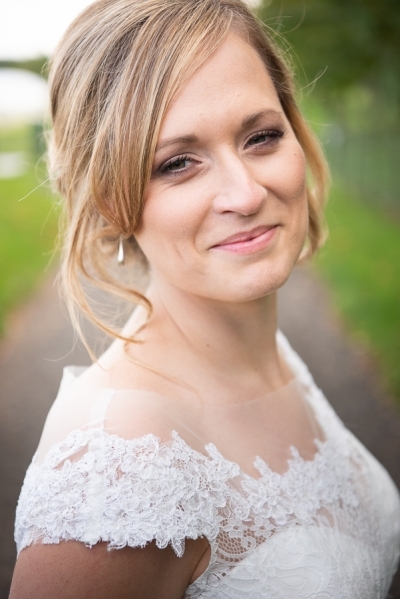 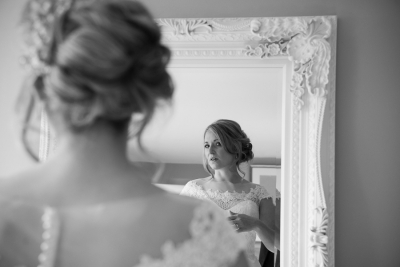 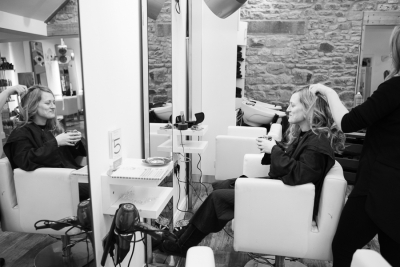 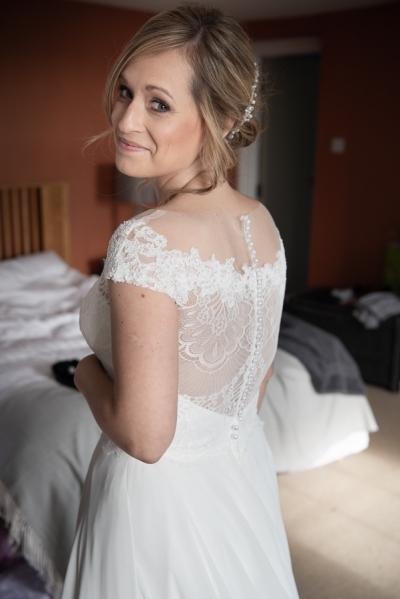 I followed Jess and the girls when they went to Corbridge for make-up and hair, then returned to capture photos of the bride, groom and family putting the final touches to their outfits. Soon it was time to hit the road… and “Vera” the Land Rover awaited….how appropriate! 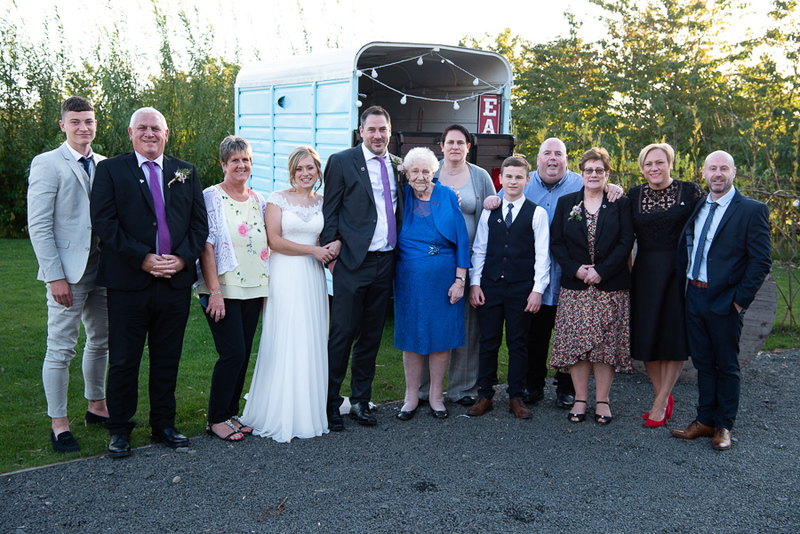 Another photo opportunity, then the wedding party were on their way. At Vallum everything was in place, the anticipation tangible. 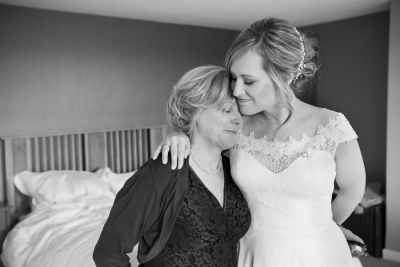 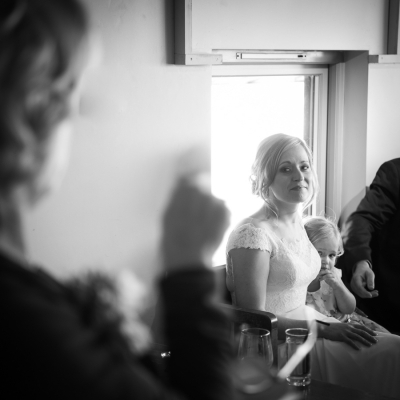 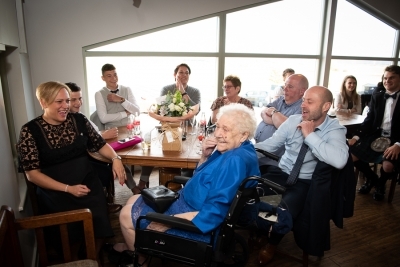 It was the most relaxed of weddings, a coming together of the generations to celebrate the couple’s love for each other. 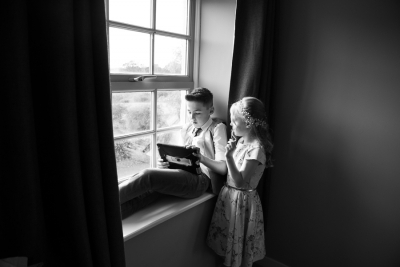 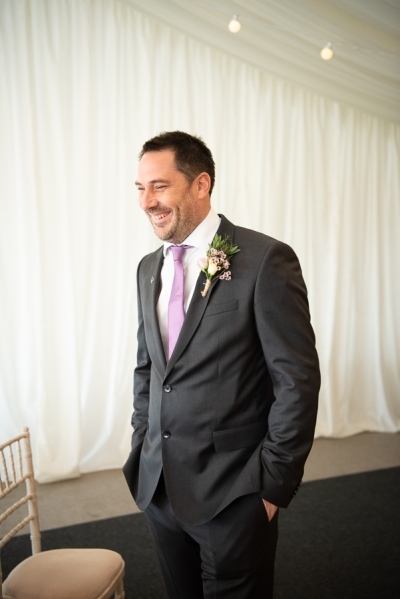 Following an emotional ceremony guests strolled and chatted, enjoyed Prosecco and canapés and the children played outside. 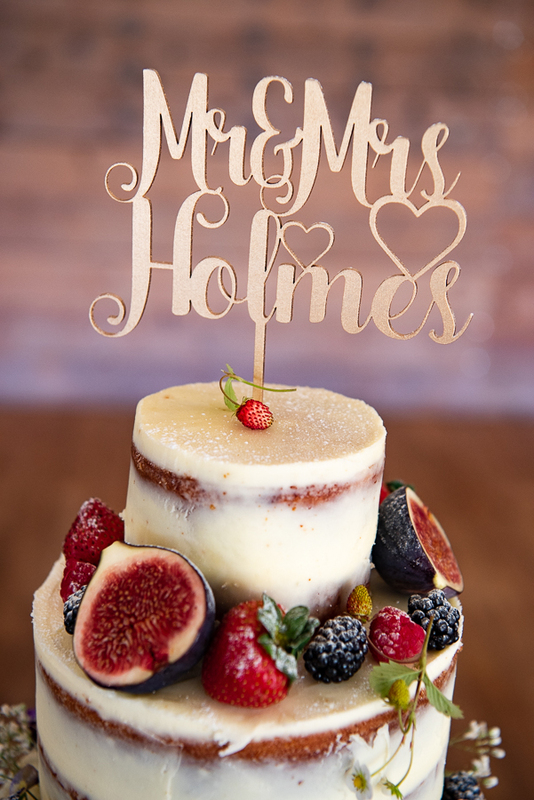 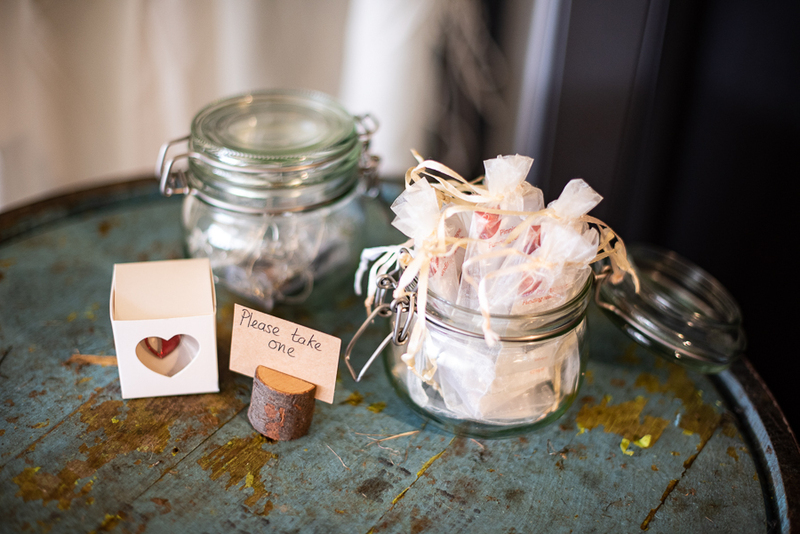 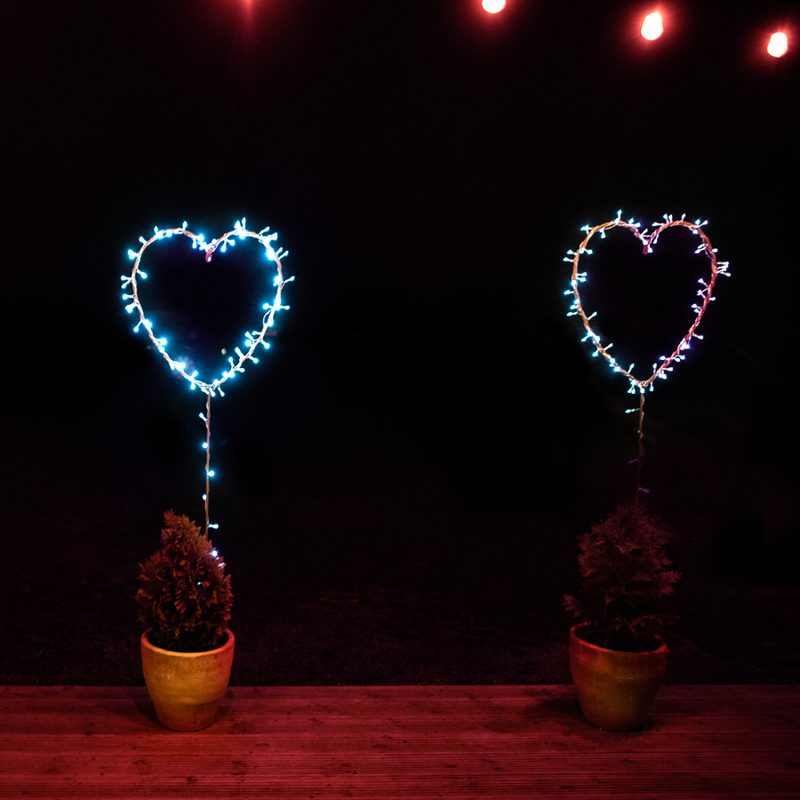 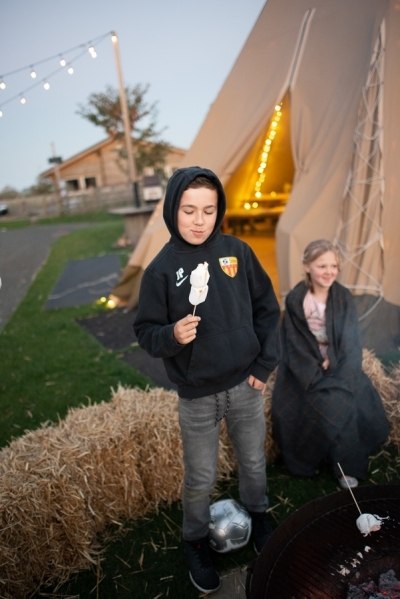 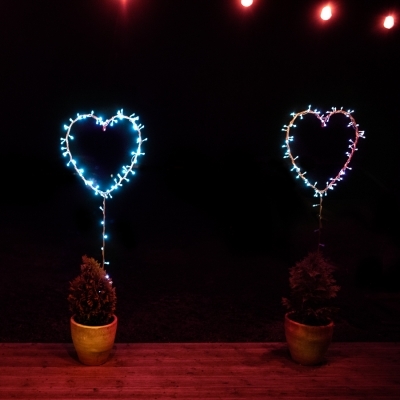 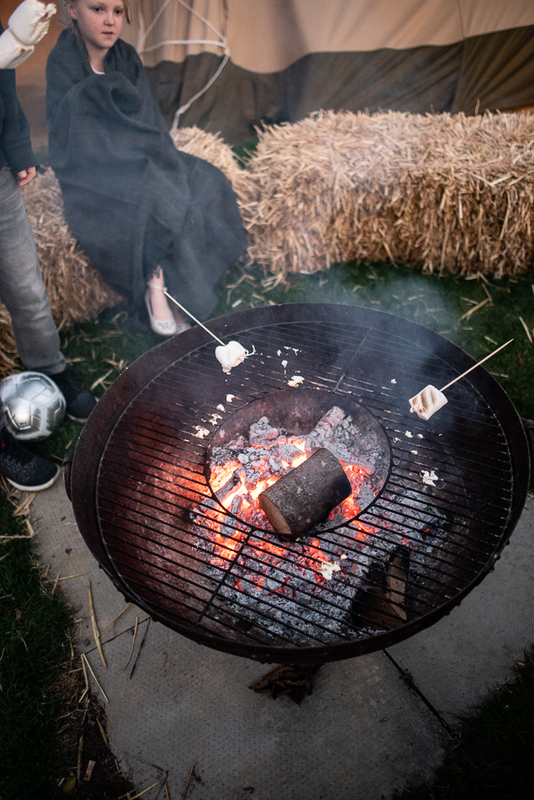 As evening approached, following speeches and toasts, the cutting of a delicious naked wedding cake and the first dance… the lights went on in the tipi, the musicians entertained and marshmallows were toasted around the fire pit. Jess and Will and their guests made it a memorable day… it was great fun and what a pleasure to be their wedding photographer!